David commenced his working career as a Loans Officer for the Commonwealth Bank in Sydney. He then joined the Papua New Guinea Banking Corporation and spent eight years in various management positions throughout PNG. During his 18 year banking & finance career he was responsible for the management and marketing of rural, residential and commercial real estate. 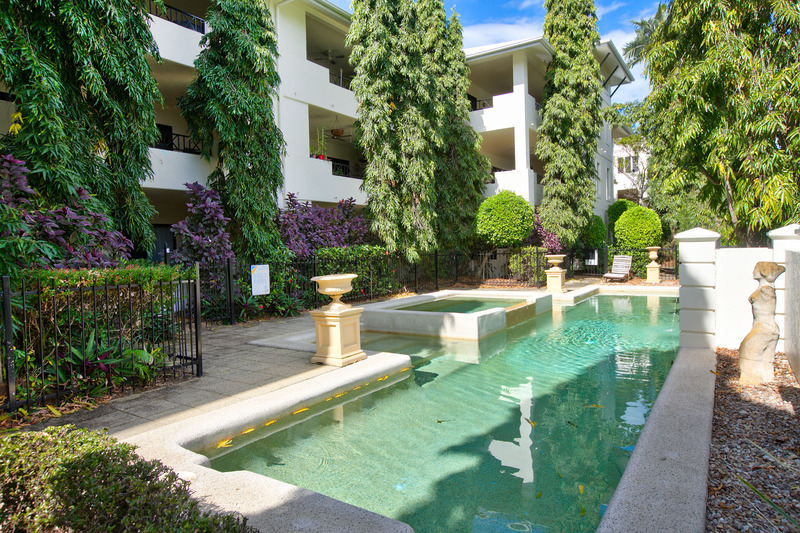 In 1996 David returned to Cairns and commenced working in the real estate industry. 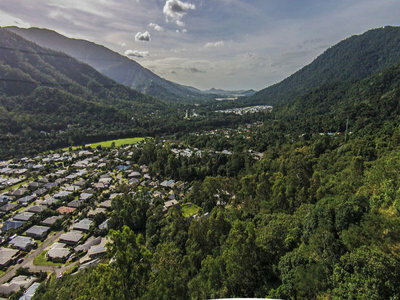 He has been based at Redlynch Shopping Village since January 2002, servicing the Redlynch district and Cairns suburbs. 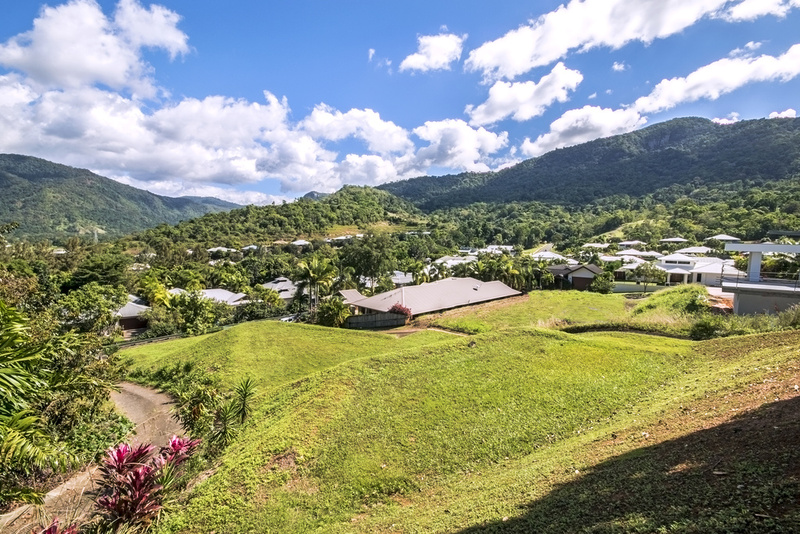 David has personally sold over 1000 properties in the Redlynch area and surrounding suburbs of Cairns during the past 20 years. 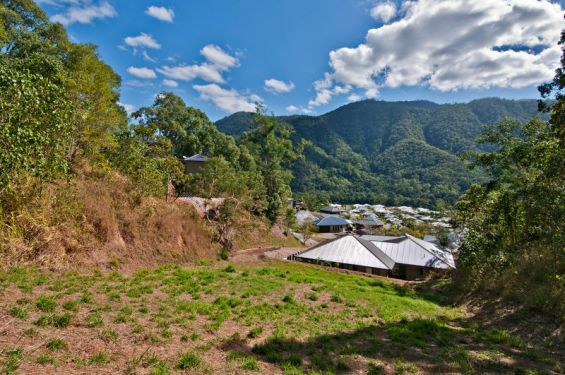 David is a Licensed Real Estate Agent and the Principal Licensee of Redlynch Real Estate. He has been admitted as a Fellow member of the Real Estate Institute of Queensland. 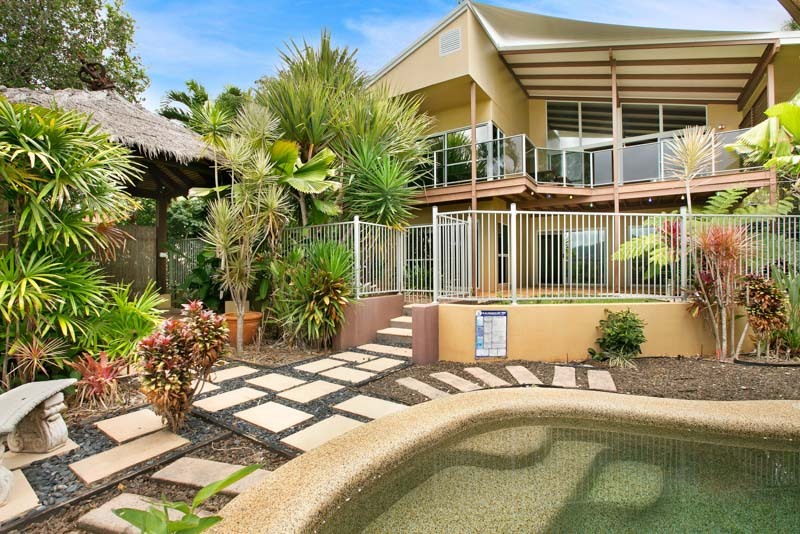 It is Queensland’s peak professional association for the real estate industry. REIQ members are bound by Standards of Business Practices to maintain a high level of ethical practice! They are also required to complete a Continuing Professional Development Program. David’s commitment to professional development also includes subscribing to Australia’s top real estate training programs. He attends the Australian Real Estate Conference every year, which is one of the world’s leading industry events. 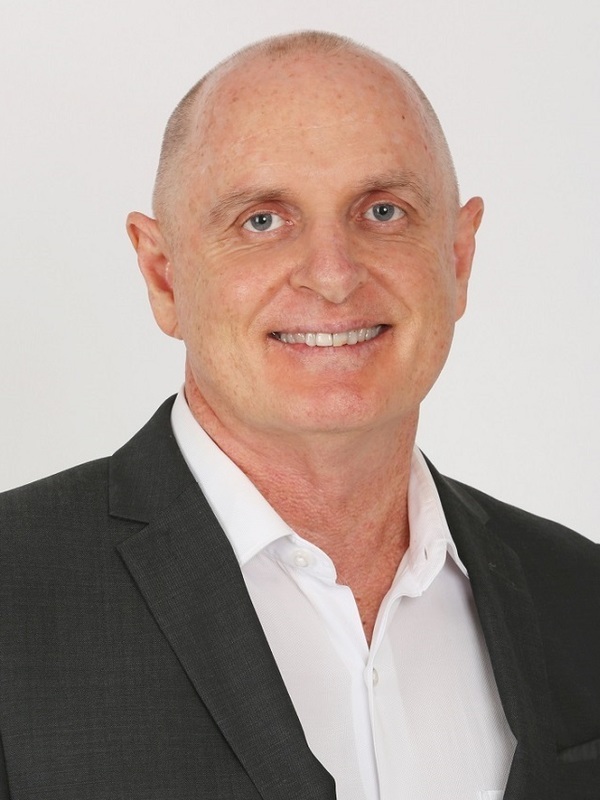 David undertakes ongoing training by Australia’s leading real estate coaches and the number one real estate educator in the USA. He is an accredited member of the Best Agents real estate group and an accredited Certified Practicing Real Estate Agent. David’s 20 years’ experience selling local real estate, plus his superior marketing, financial and negotiation skills ensures his clients achieve the highest possible sale prices for their properties. He has numerous Testimonials from satisfied clients available for references. David has two Professional Assistants who are both registered salespeople in his team. 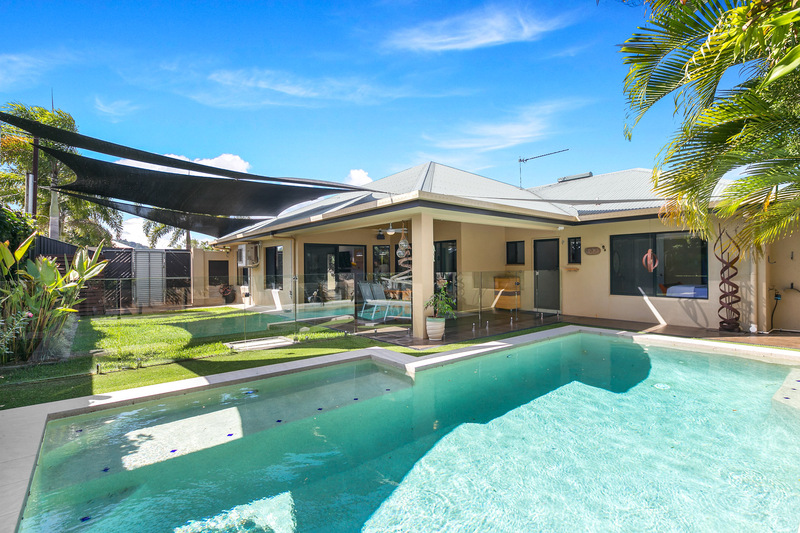 He is the Rate My Agent 2017 & 2018 winner of Agent of the Year – Redlynch. Major Sponsor of Redlynch Razorbacks Junior Rugby League Club, Sponsor of Cairns City Lions AFL. David's advice and knowledge of the market was invaluable in achieving a sale for our property. 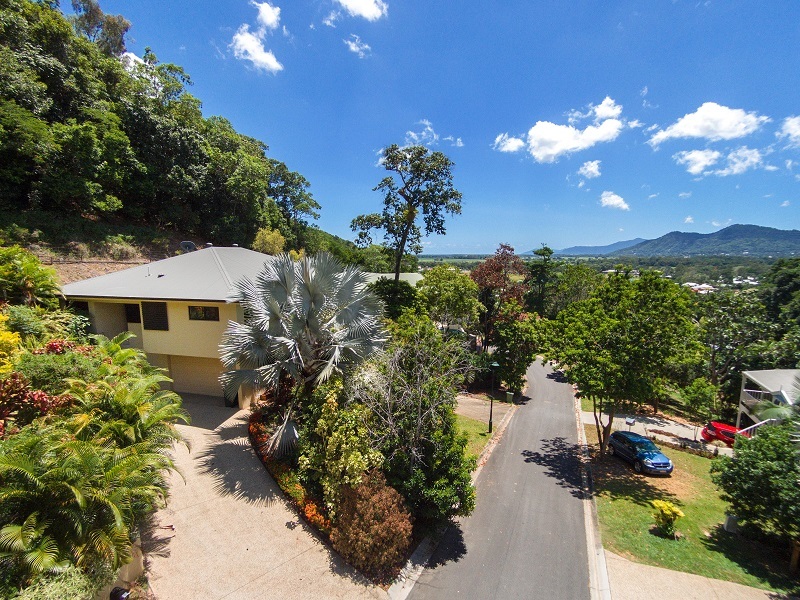 His long term experience in Redlynch allows him to realistically value properties and achieve sales quickly. He and his team were always helpful and professional. 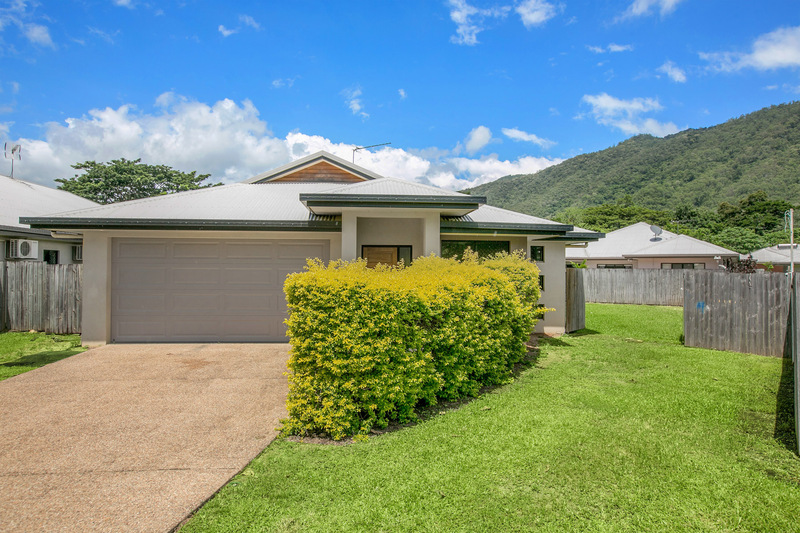 We would highly recommend David to anyone buying or selling in the Redlynch area. Lisa, Sheree, David they are great staff, very patient and helpful! Happy Christmas to you all. 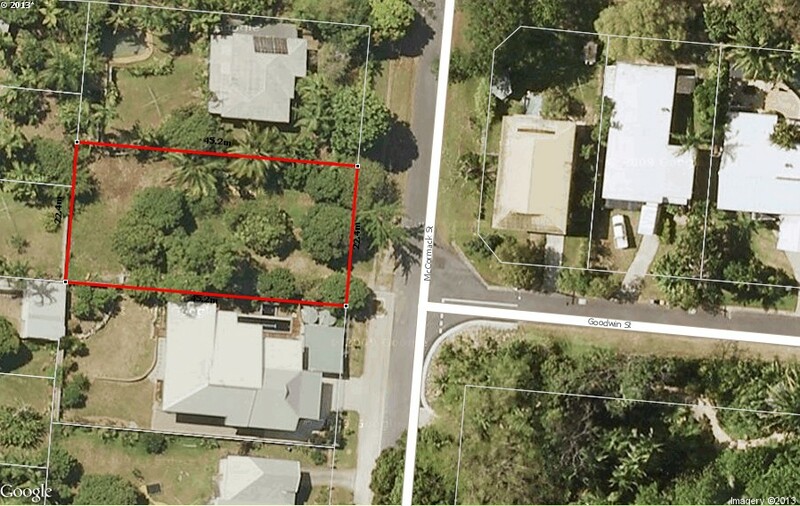 David and his team sold our property in Cairns. As we live interstate communication is imperative. They constantly kept us updated on its progress and worked hard to find us the right buyer. Sheree was always extremely professional, excellent at communicating, and was always very patient. 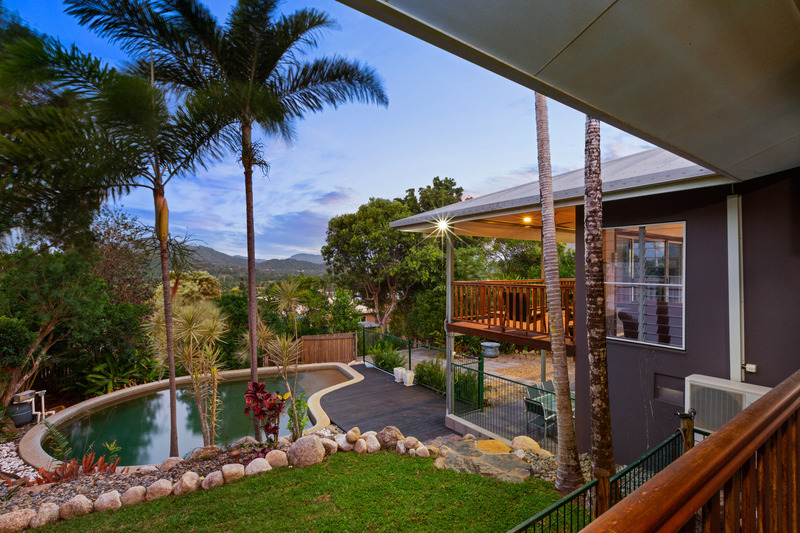 Thank you to the team at Redlynch Real Estate it was a pleasure to work with you. David was very helpful to us in the selling of our property, keeping us abreast of movements in the market and ensuring we maintained realistic expectations. He also assisted us to present the property to best advantage. 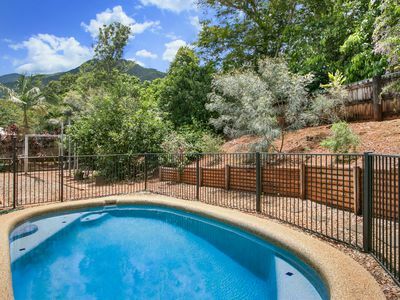 We found the Redlynch Real Estate team honest, friendly and helpful to deal with when we purchased our home. They kept us updated regularly throughout the whole transaction and I would highly recommend them to anyone who is searching for a property. 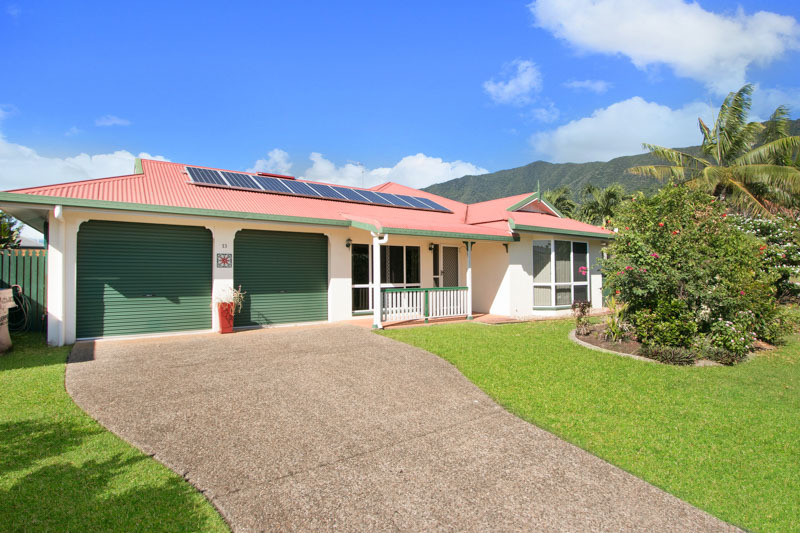 David and his team at Redlynch Real Estate were fantastic. David has a great knowledge of the area and current market conditions. His experience, knowledge and expertise resulted in an excellent sale price! 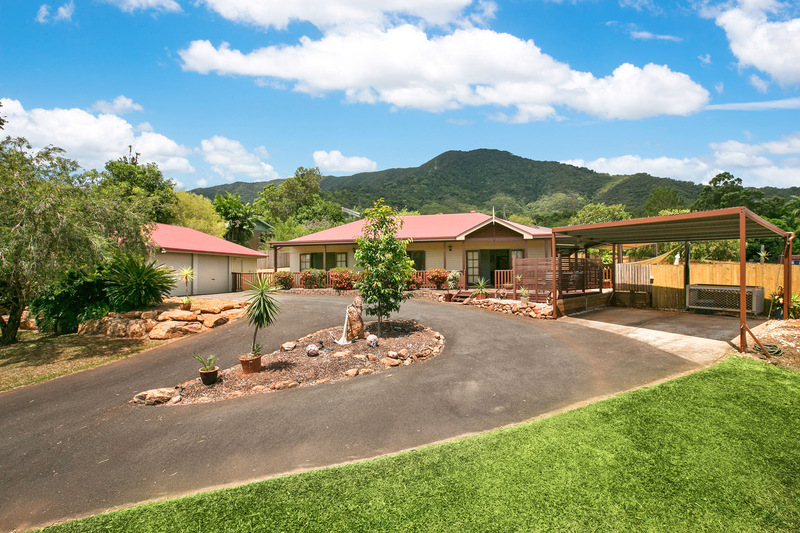 Everyone at Redlynch Real Estate were friendly and efficient from start to finish. Great service and a stress free sale. 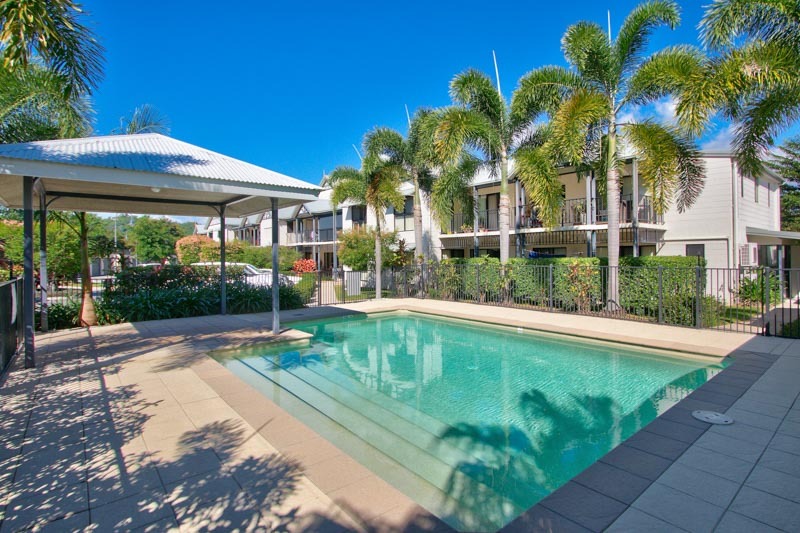 I would happily recommend Redlynch Real Estate! If you want the best contact David. 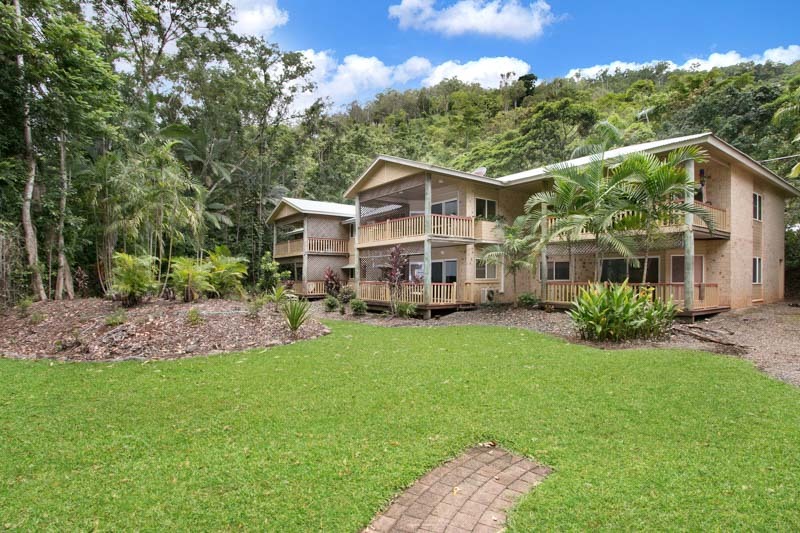 David was a very good communicator and kept us informed as to what was happening in our local Redlynch area property wise. 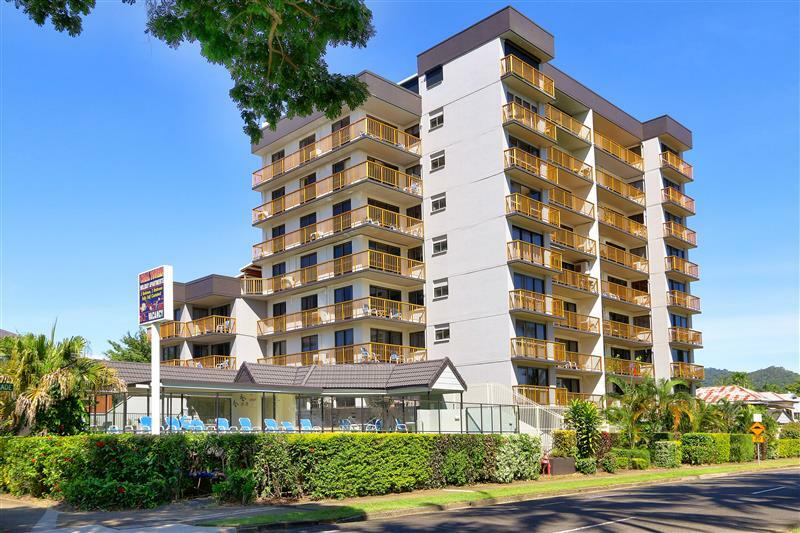 His personal commitment and the commitment of his staff is to be commended and this brought about a swift and trouble free sale of our property. Very polite, great service. Got a great price for a low market place. David and his team were very easy to work with and kept us informed throughout each step of the sale process. 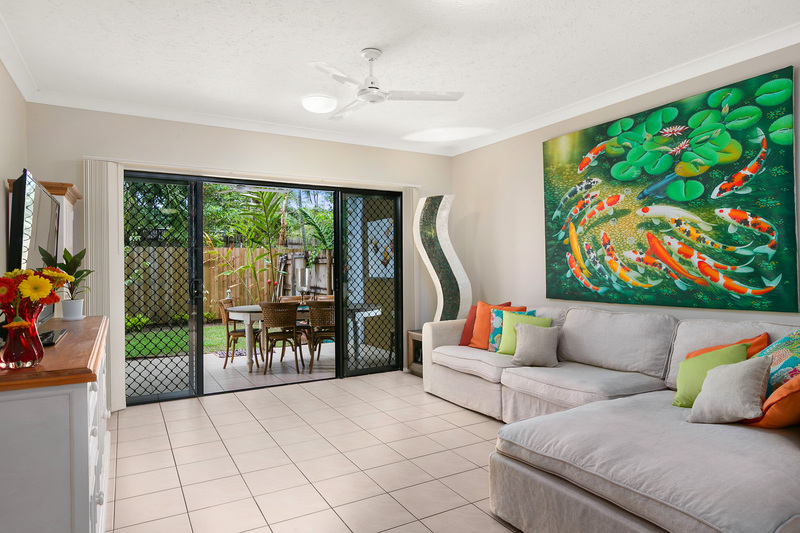 David had lots of great tips on changes we could easily make to improve the presentation of our property for sale. David was honest and worked with our interests in mind. 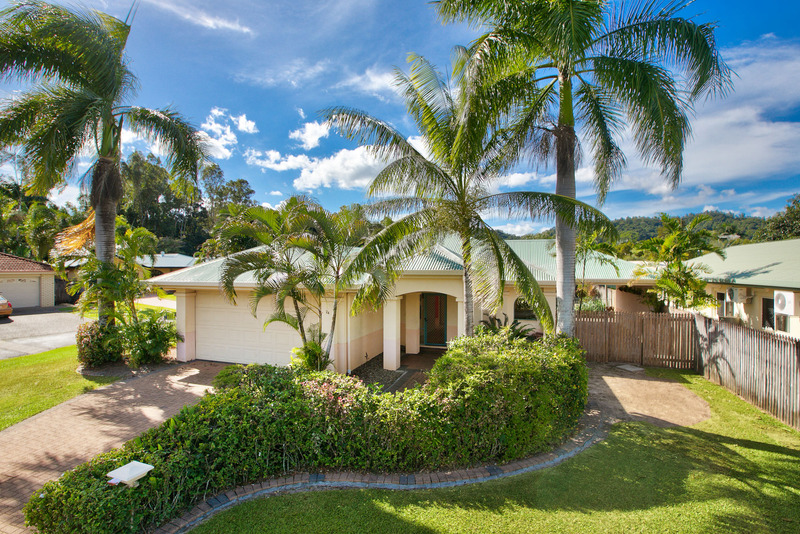 We would happily recommend Redlynch Real Estate for selling your home. We purchased from David and all went very smoothly, sale was handled with ease. 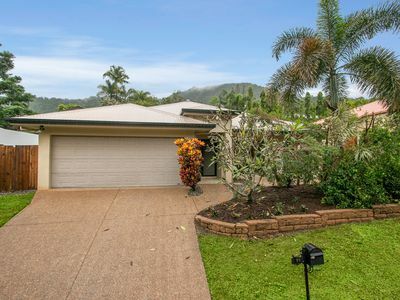 Dave Jeffries and his team from Redlynch Real Estate were a pleasure to have sell my property. Very experienced, polite, organised and efficient. Nothing was too much for these guys in putting in extra work to sell in a difficult market. My hat goes off to David and his team and I would recommend these guys to anyone thinking of selling. I would definitely use David and his team again if I get the opportunity to sell. David & Team have done a great job in selling our house. Their help and support along the way was fantastic. We can only recommend them to any future clients. Very helpful and supportive. Would highly recommend! David, Sheree & Lisa went out of their way to make our purchase quick and easy. They kept us fully informed as the matter progressed and always communicated with us in a friendly & professional manner. Could not ask more from an Agent and would happily recommend to anybody considering buying or selling. We recently bought a house and David Jeffries was the selling agent. Right from the outset we could not have been more impressed with the level of service he provided. As first home buyers we had a few questions along the way but David handled everything with expert knowledge and professionalism. The communication throughout was excellent as was the follow up after we had moved into our new home. David and his team went out of their way to ensure our experience buying a home was stress free and positive and I wouldn't hesitate to recommend them. A special mention also to Lisa, who handled a lot of the administrative and communicative side of things, she was a pleasure to deal with and we found her assistance to be invaluable. Thank you to both David and Lisa! 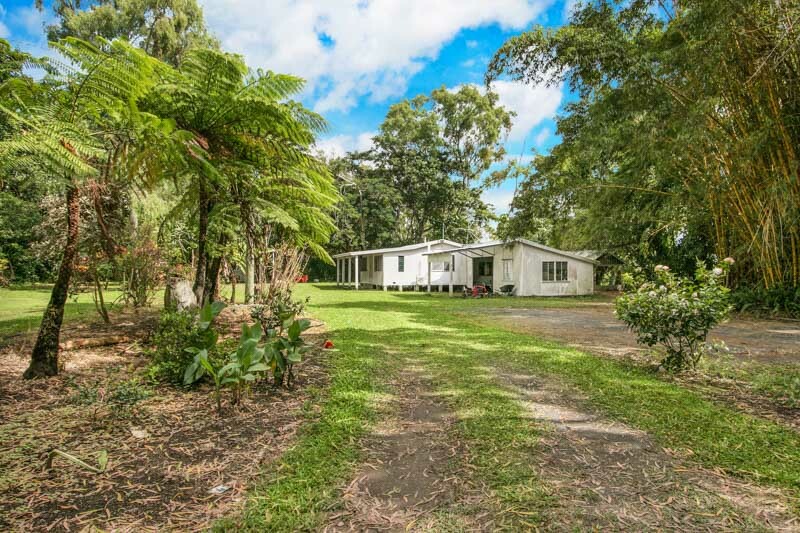 The team at Redlynch Real Estate were absolutely brilliant at all stages throughout our property purchase, from Sheree the agent who showed the property in question. The principal David Jeffries was fabulous and went to the next level in assisting to the answering the trustee’s questions, particularly with body corporate matters, organised searches and other third party communication to provide the necessary transparency before offers were supplied. Lisa the client service manager at the agency was professional and efficient from start to finish! 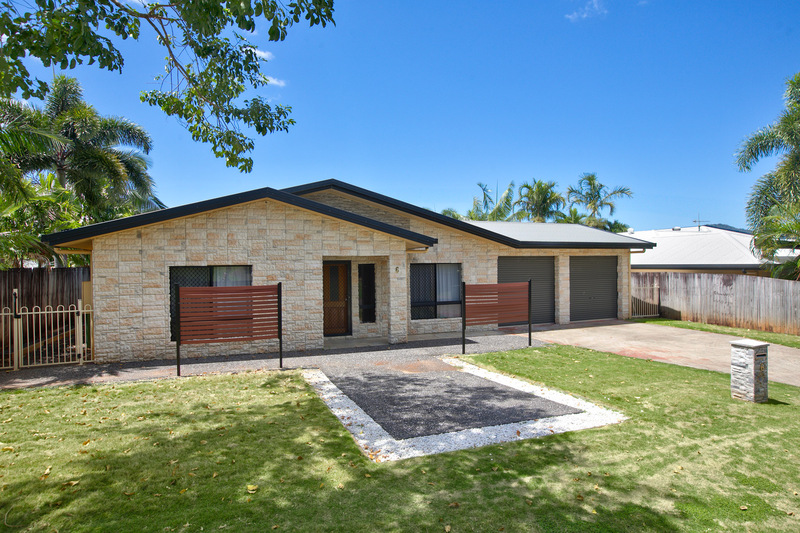 Top effort David Jeffries and the team @ Redlynch Real Estate and look forward to the next purchase. 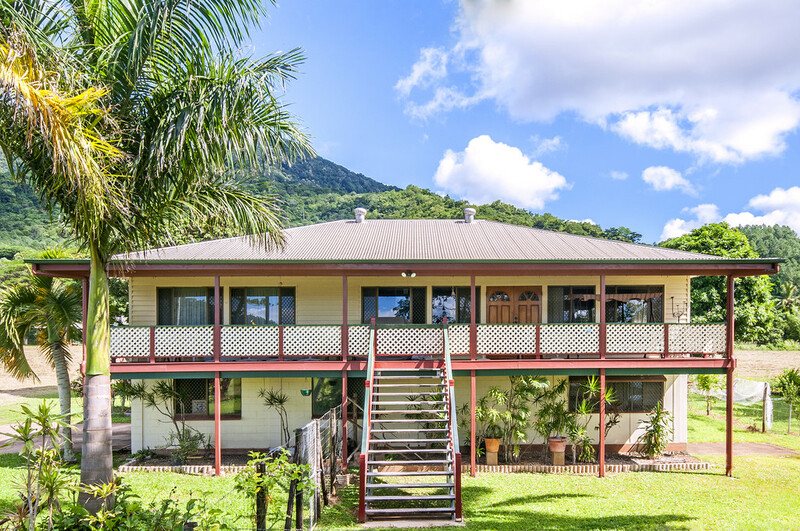 We recently sold a property in Redlynch, engaging David from Redlynch Real Estate as our agent. We were pleased to find the agency’s service courteous and professional during the entire period, from the initial conversation to settlement. We found David professional and very experienced in the real estate business. 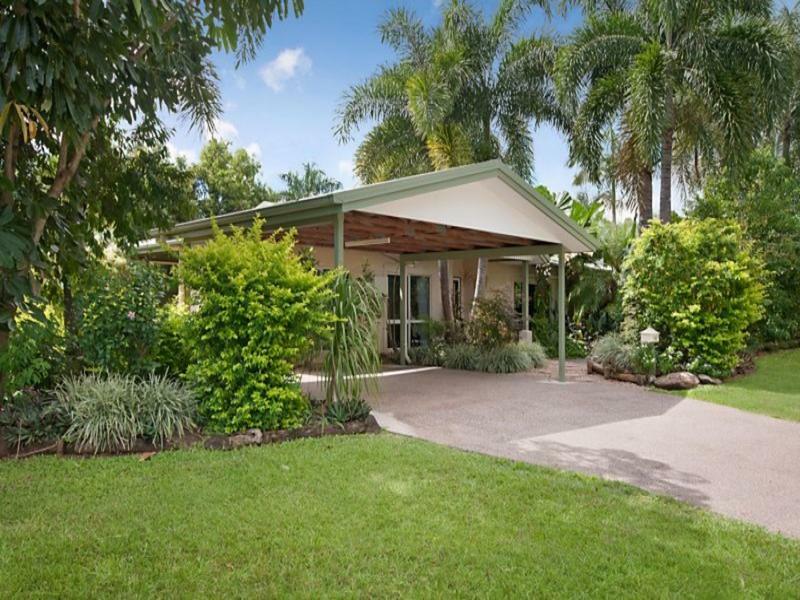 We believe it was his large client base and knowledge of Redlynch that facilitated a pleasing sale. We would not hesitate to recommend David to anyone selling a property in the area. David sold our house to us and four years later he sold it for us. 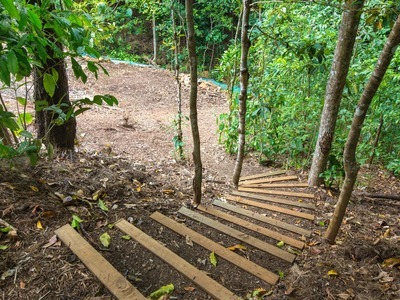 He is the only person to use in Redlynch. His communication and manner got us the exact price we wanted in just ten days. We could recommend him highly enough. David was meticulous in his explanation of both the process of selling and the selling contract and the selling strategy. During his absence, his team of Sheree and Lisa were exceptional in giving both oral and written feedback from Open House visits. These were timely and detailed and allowed me to gauge how the market was going. I was very happy with the eventual buyers whose family profile exactly fitted my property. I would highly recommend David and his team. Where do I start! Five star service from these guys. Thanks David, Sheree, Lisa and Nat for making this purchase easy and hassle free. It is nice to know there are still businesses around that offer good old fashioned customer service. 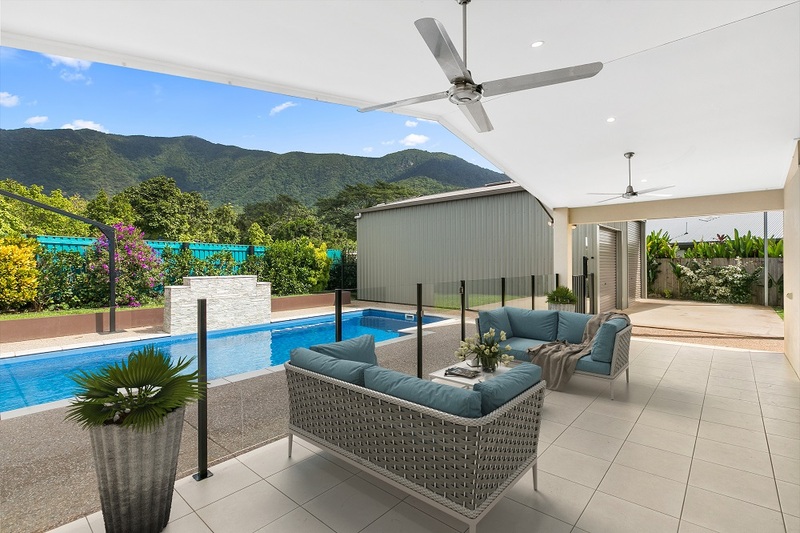 I would highly recommend Redlynch Real Estate. 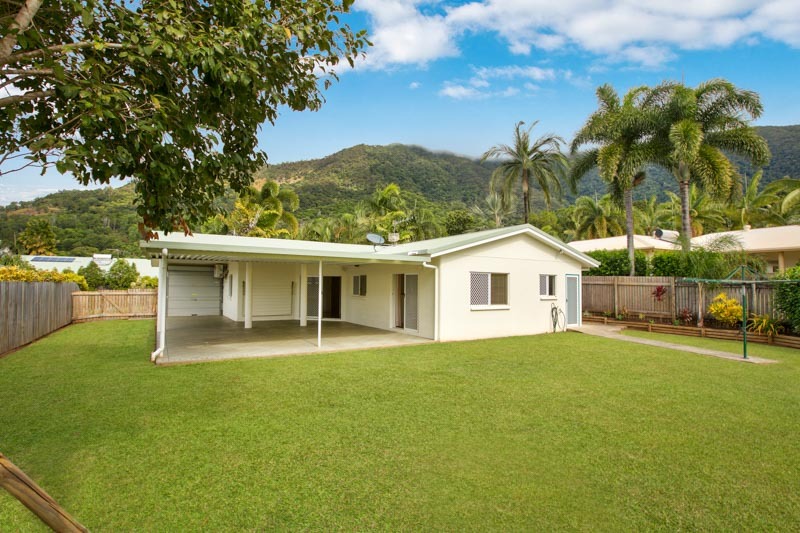 David Jeffries and his team at Redlynch Real Estate were knowledgeable and able to achieve a good result in the sale of our unit. Their communication through the selling process was excellent and I can highly recommend him. David was always pleasant to deal with, never pushy, always easy to contact and happy to answer any questions and help in any way. He has a very good knowledge of the local Redlynch market. Pleasant and helpful staff. The whole selling process was a good experience and made easy by David and his team and I would be happy to recommend them to others. Thankyou for everything you have done in regards to selling my properties. 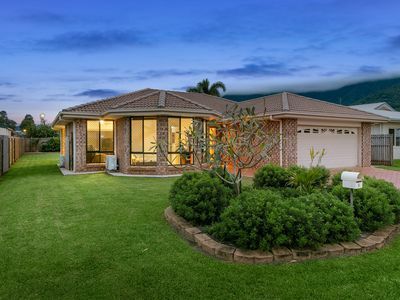 It will be my pleasure to recommend Redlynch Real Estate to anyone looking to sell. The best result ever...FINANCIAL FREEDOM. It was a good experience working with David, an agent who knows how to communicate with his clients as he always provided a prompt feedback after every open inspection. 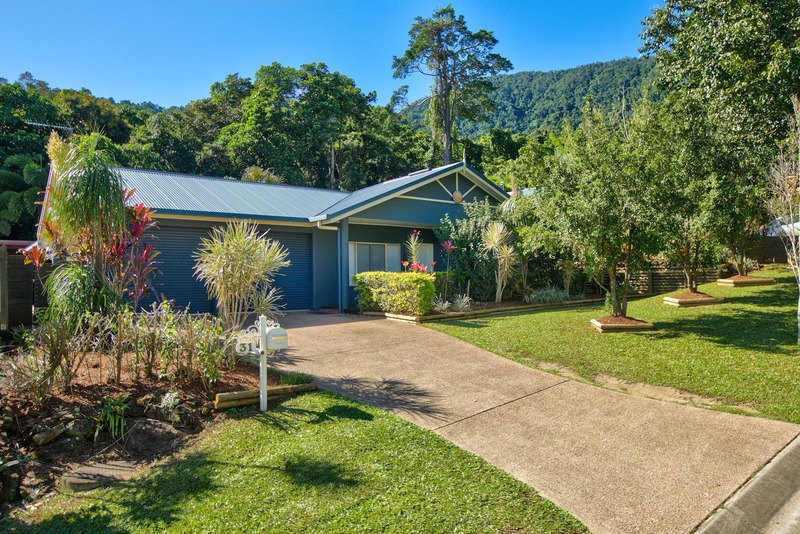 Highly recommend David who knows Redlynch inside and out, especially to home sellers and buyers who want to settle in Redlynch. David made the experience of selling our house a positive one. He communicated with us regularly - keeping us informed every step of the way. David and all of his team were professional, knowledgeable and easy to get along with throughout the whole process - wouldn't hesitate to use their services again. Easy to deal with, all the staff in the office were friendly and helpful! David and his team were an absolute pleasure to deal with. They really know their stuff and i couldn't recommend them highly enough. Thanks again for all your help and patience with our purchase from start to finish. 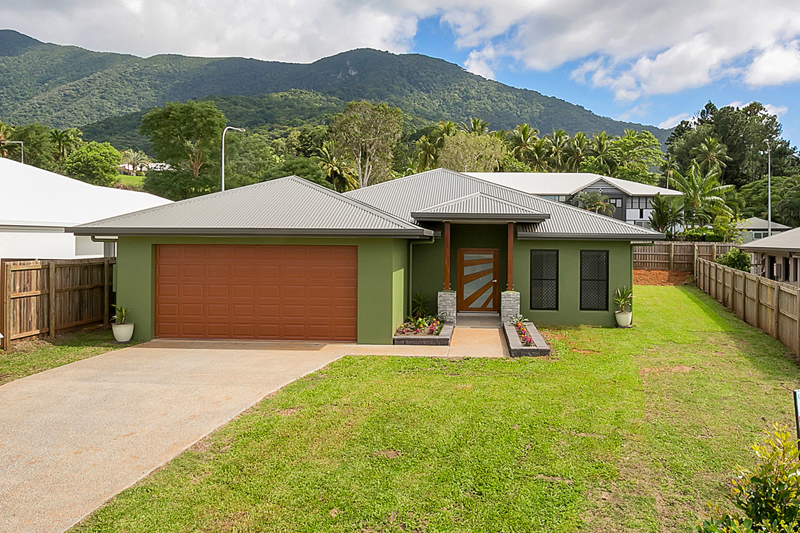 A huge thank you to David Jeffries and the Redlynch Real Estate Team for selling my home so quickly. Everyone was friendly and professional, a top notch bunch. I would recommend them to anyone thinking of selling or buying. thanks again. This is the second property I have sold with David in 2 years. Once again I was impressed with his straightforward and honest approach, his thoroughness and professionalism. David made the process simple from start to finish and provided good advice and excellent feedback. David exceeded our expectations and I would highly recommend him. We highly recommend David and his team. David has many years of experience selling real estate and communicates well with both sellers and buyers. Would definitely deal with them again. 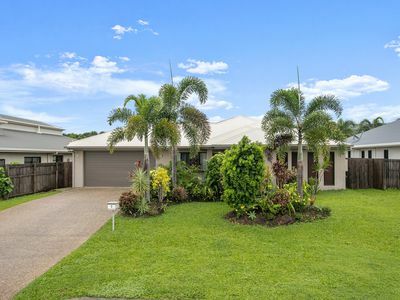 Recently I was looking to buy in Redlynch, was looking through the internet as you do and range about a house that so happened to be in the hands of Redlynch Real Estate. The agent that I met wasn't pushy & overbearing but informative & mildly inquisitive. 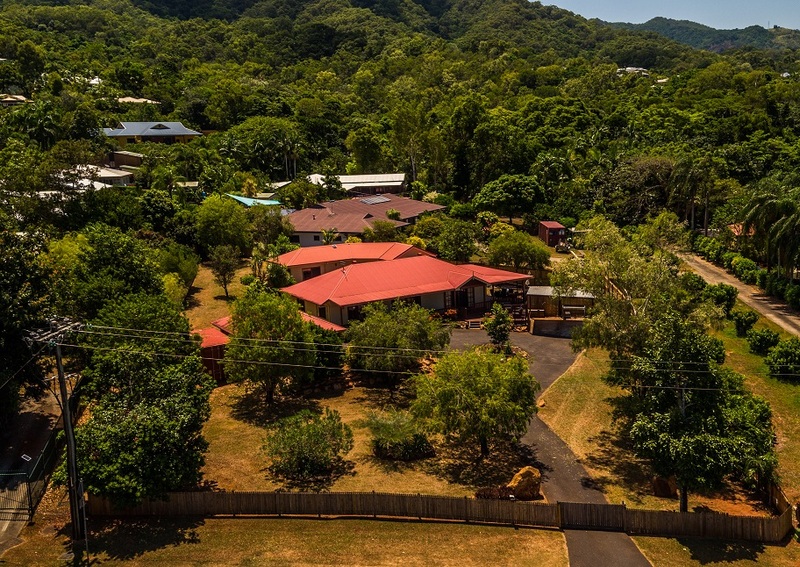 I did end up signing a contract with Redlynch Real Estate but for another property in the same area and was happy in every way with the entire process. 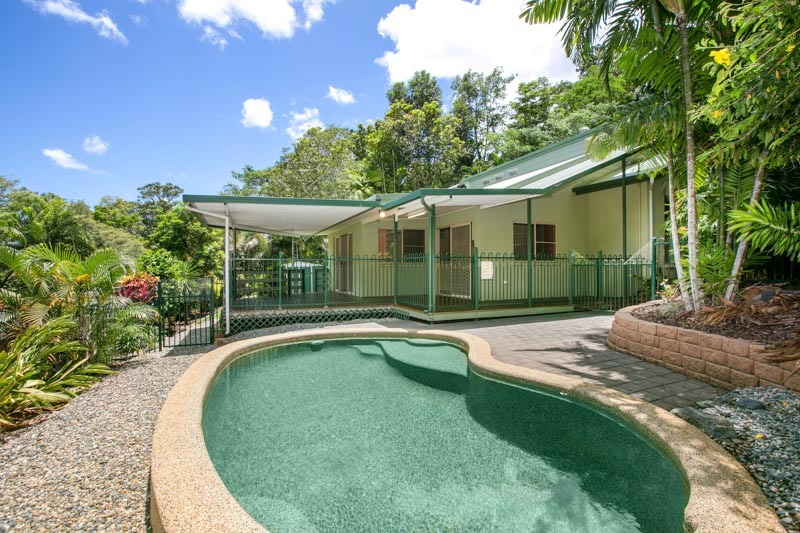 Thanks Redlynch Real Estate agents. The market was down but we were pleased with the end result. 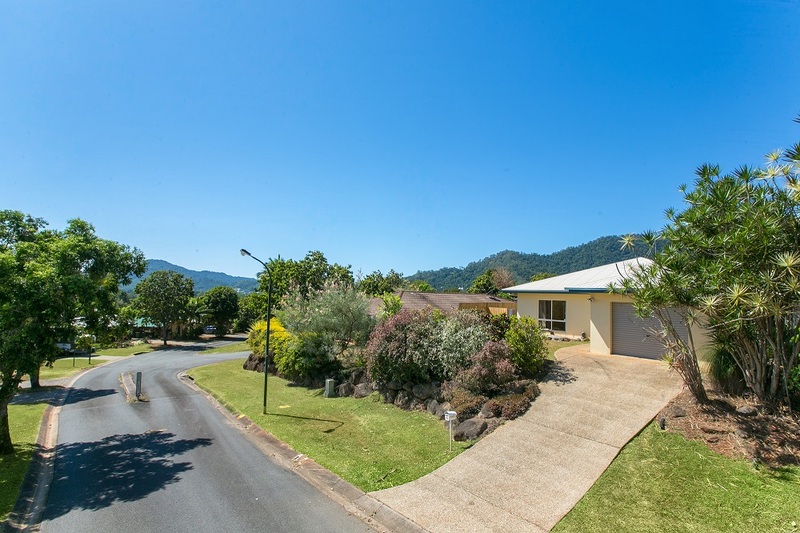 The whole team at Redlynch Real Estate were fantastic. As I live away from the area, I am so glad I made the decision to go with my local agent. It was very helpful when tradespeople and my Air BnB guests could collect the keys from just down the road. A very personalised experience...thank you all! 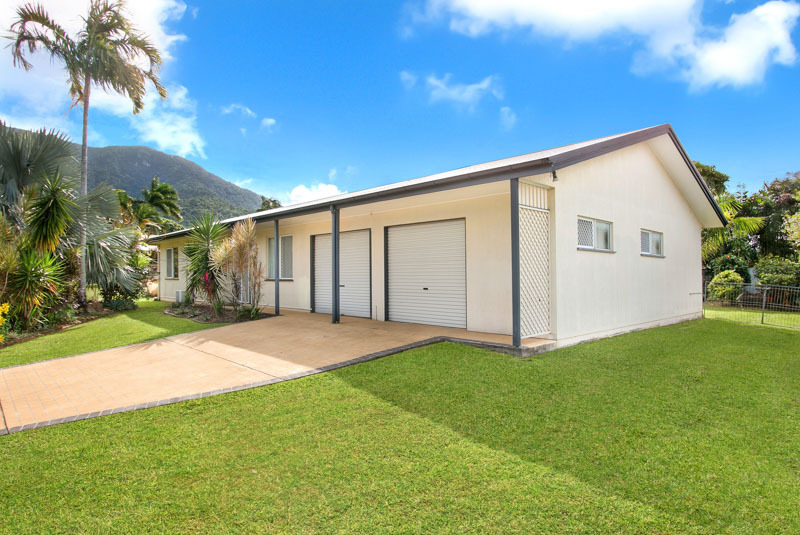 I have dealth with David Jeffries and Redlynch Real Estate several times for both sales and rentals and David and his team are always efficient, friendly and have a great local knowledge. 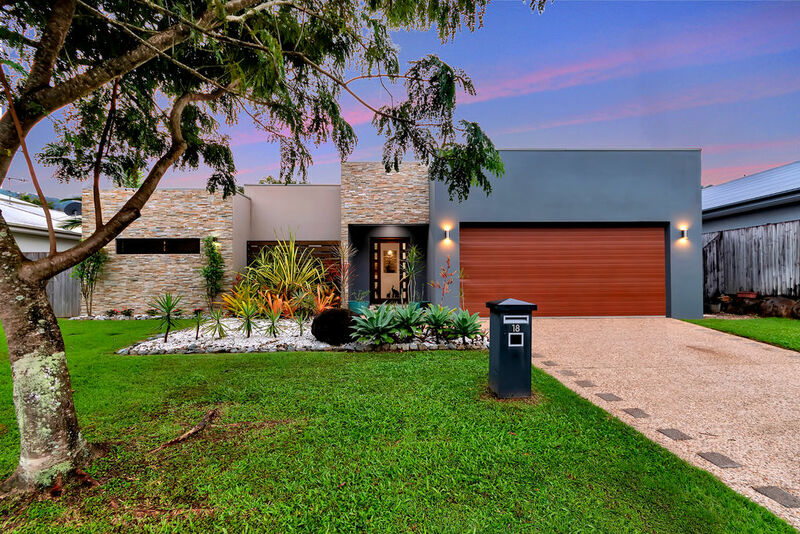 I would have no hesitation in recommending David to any perspective seller, he keeps you informed at every stage of the process and he and his team are always on hand to answer any questions you may have. After a lot of hard work by others, lot of money spent, sale was completed early during marketing phase. David did everything to advance sale early. Thanks to his team. David has a great depth of knowledge based on operating in this area for over 20 years and came recommended by several friends who had had success with him. He was able to guide us on improvements to make prior to our first showing and kept us informed of our listing during the process. Communication was good, I found him easy to work with and very accommodating. I can recommend him and would certainly use him again in the future. David was very easy to work with, honest and knowledgeable of the area. I went to view my house with no real interest, but on walking through knew within 10 minutes I had found the house for our family. I explained this to David and from that moment on he was professional and efficient with explaining where I had to go from there. I also greatly appreciated his honesty and his very calm down to earth approach to business. We had to jump through some hoops with finance as my husband works overseas but the whole time David was patient and supportive. 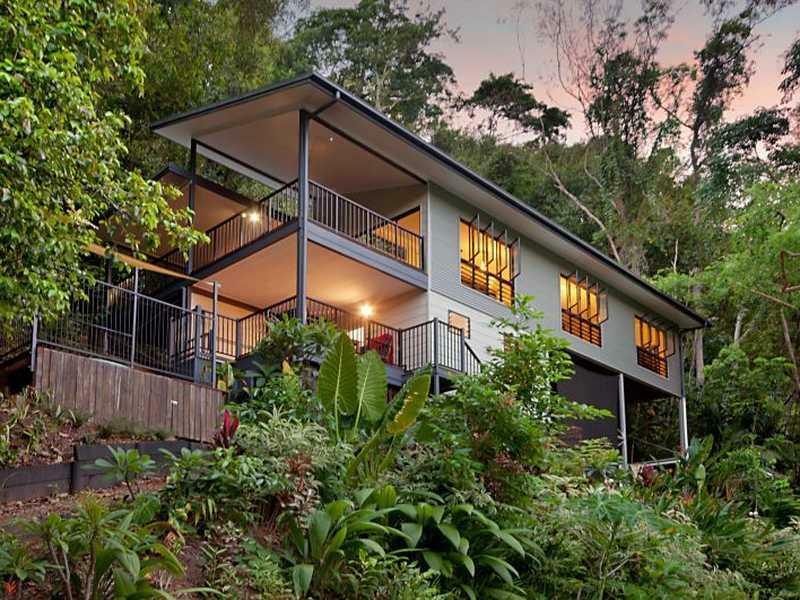 I could not recommend David Jeffries of Redlynch Real Estate more highly. 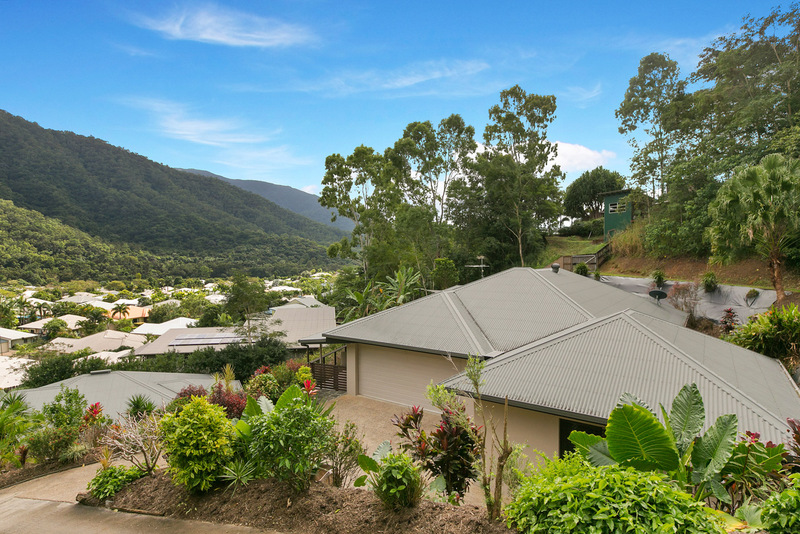 David is most professional with an indepth knowledge of the Redlynch property market. David's recommendations to maximise the view by cutting back the high hedge that ran along the property and adding a gate onto the reserve really made thew view a standout selling feature. With strong communication skills and aide by his excellent team of Lisa and Sheree our property sold within the first month for a very good price. I could not recommend David & his team more highly. I certainly recommend David Jeffries & his team for his very thorough marketing of my property and timely follow up service. 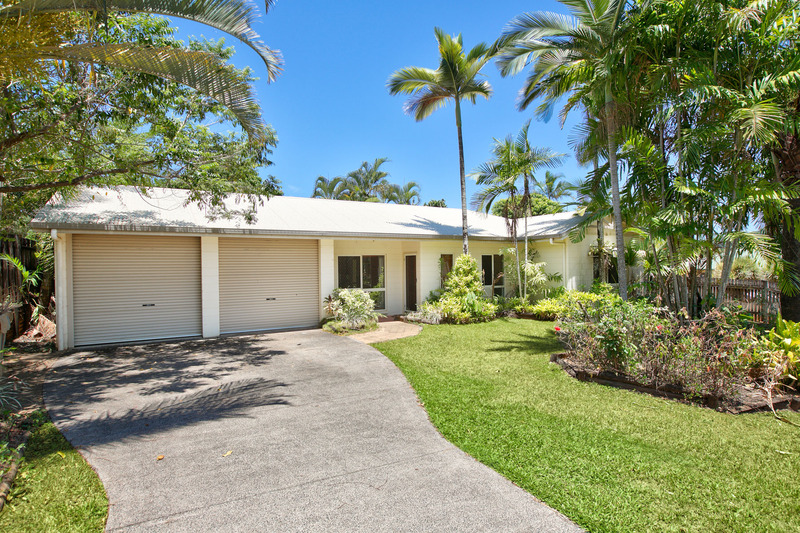 His many years experience in the Cairns property market helped to sell my unit quickly and with a minimum of fuss. 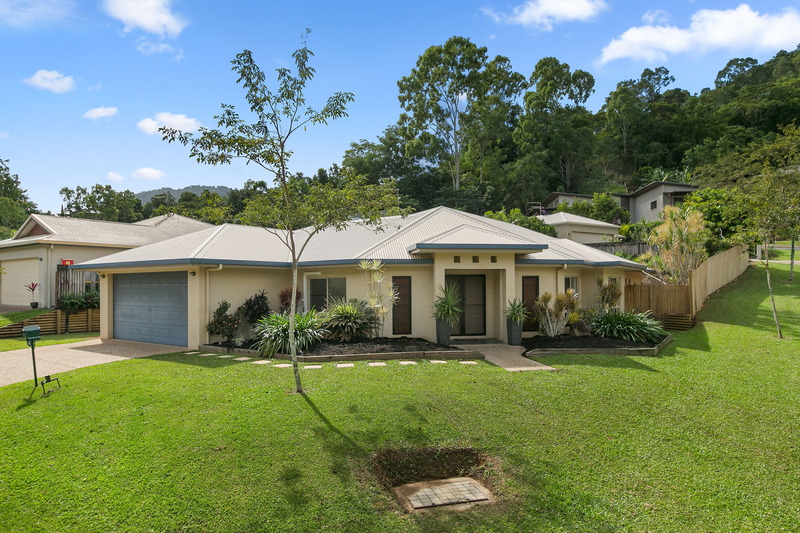 Top marks for David and his team at Redlynch Real Estate. Professional, helpful and very easy to work with. Would recommend to anyone. Helpful and friendly. I would highly recommend David and Lisa they were great!!! Always there to answer any of my questions and made the buying transition go smoothly. 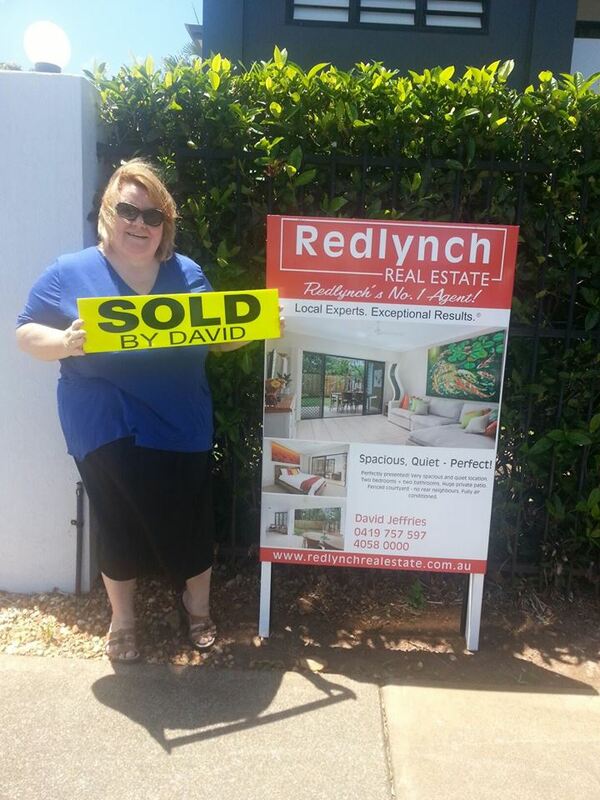 Thanks David and all the team at Redlynch Real Estate!! You made the purchase of our home a great experience and I highly recommend anyone thinking of buying or selling to give you a call. We really appreciate all those little extras you did for us in making sure everything ran smoothly from exchange until settlement. Honestly these guys are not just your average old real estate agents, they really care, providing professional friendly service and advice. Again David and the team "Your Simply the Best" Thank you very much! David and his staff were great to deal with. Realistic expectations set regarding sale and constant information updates of prospective buyers. David always accepted my calls and returned them asap. Would recommend to anyone. David is aware of the local market. The team all are aware of the internal and external purchasing and selling process. Lisa was very abreast of everything and her communication was fantastic. Nothing was too much trouble and the follow up and service was great. Well done team. David did an excellent job selling our property within days. We would highly recommend him and his team to anyone selling or buying. We took his advice in preparing the property and it paid off. He is very professional and kept us well informed every step of the way. 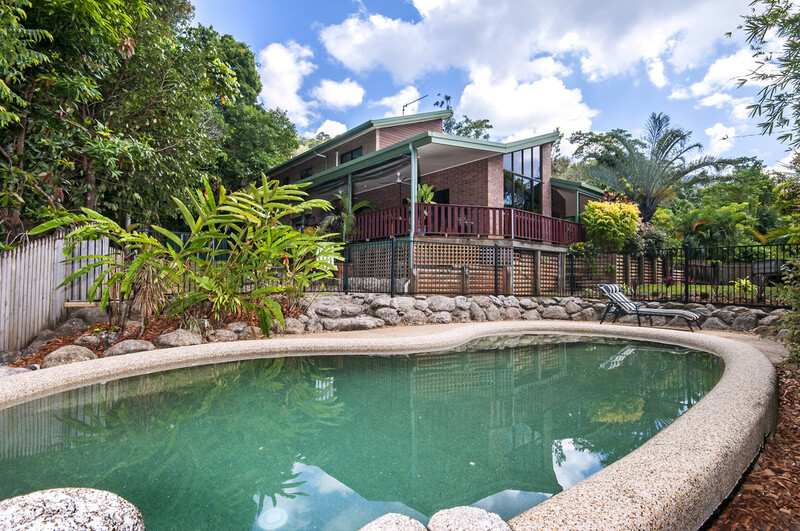 We have found David Jefferies and the Team at Redlynch Realestate to be "AWESOME" to deal with. 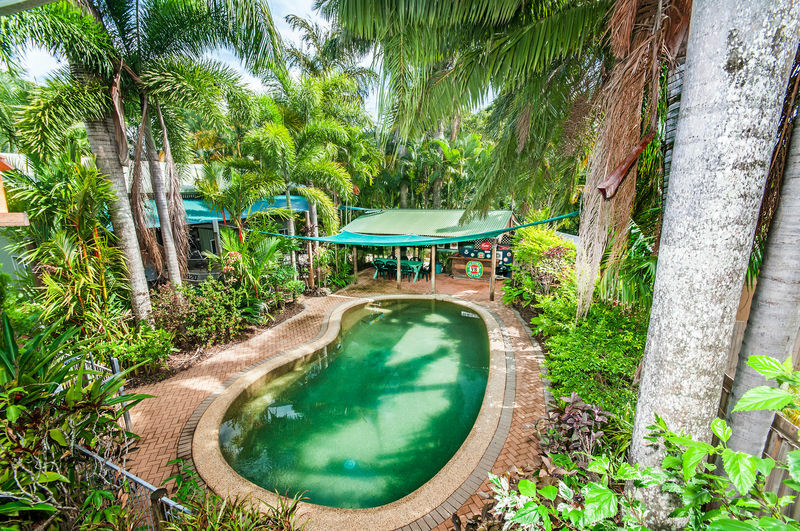 We moved to Redlynch 5 years ago, brought a home that we both loved, putting in a pool and building a dream shed with no plans to move, however due to circumstance beyond our control we decided to relocate. Throughout the selling of our property we found David and his staff to be very professional, from providing advice to having excellent knowledge of the area, always keeping in contact, David has done an excellent job selling our property. 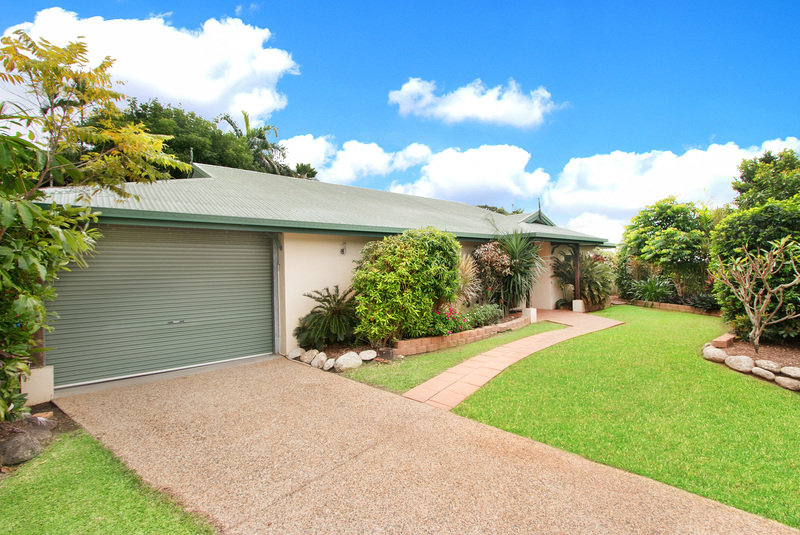 We would highly recommend David and his team to anyone selling or buying. Kept us informed. No hiccups. Went well. 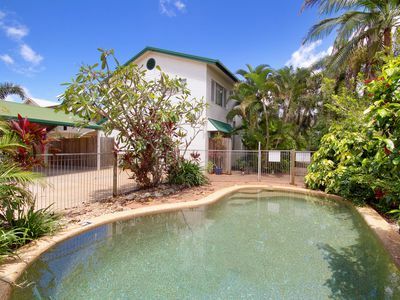 Nice to deal with David again, having happily purchased a property from him in Kuranda several years ago. 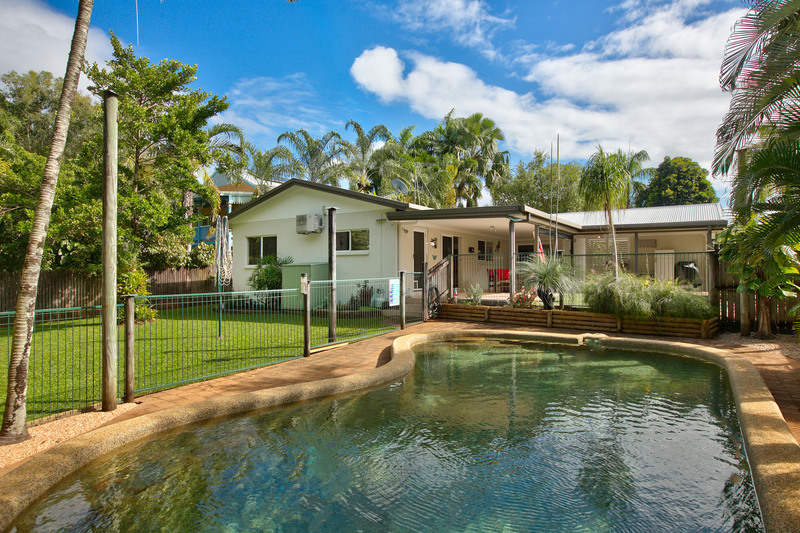 I only have praise for the whole agency Redlynch Real Estate. I found they were at any time very helpful, knowledgeable and very easy to deal with. I appreciated that I was contacted regularly by David or Melissa to give me updates and Lisa certainly went beyond her duties to help me. 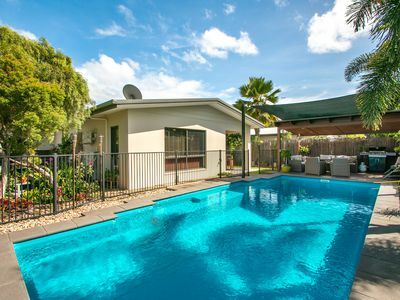 Thank you so much for making this sale so easy, especially after I had previous experience in Cairns, trying to sell and years of experience with management, I wish I had come across your agency earlier! Obviously I would recommend you any day!!!!! 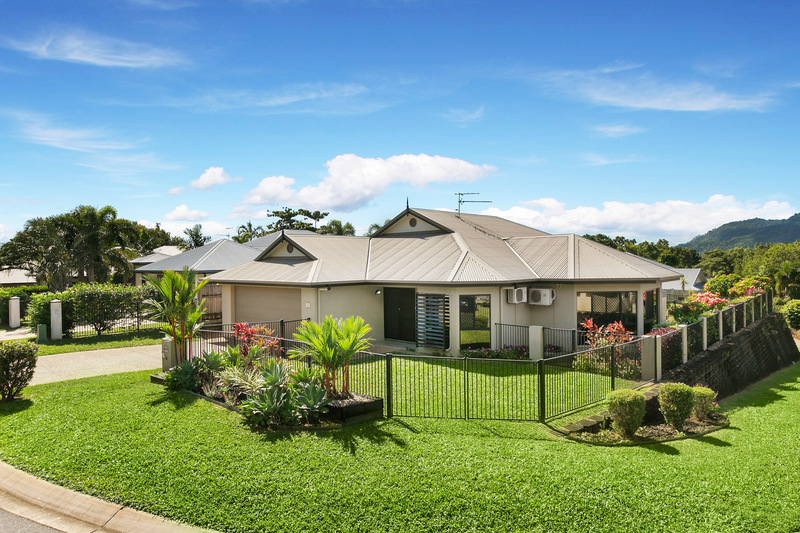 When selling our property we found David and his staff from Redlynch Real Estate to be very professional in every way from providing advice to having excellent knowledge of the area, always keeping us informed. David did an excellent job selling our property within a very short time of being on the market. 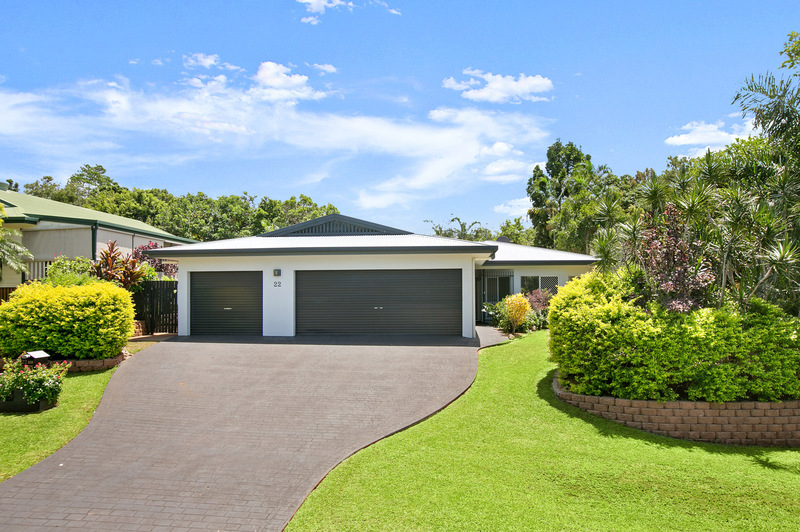 We would highly recommend David and his team to anyone selling or buying. You feel like a valued customer! Thanks to the whole team! David knows how to close a deal. The settlement of the property went relatively smoothly with minimal fuss. 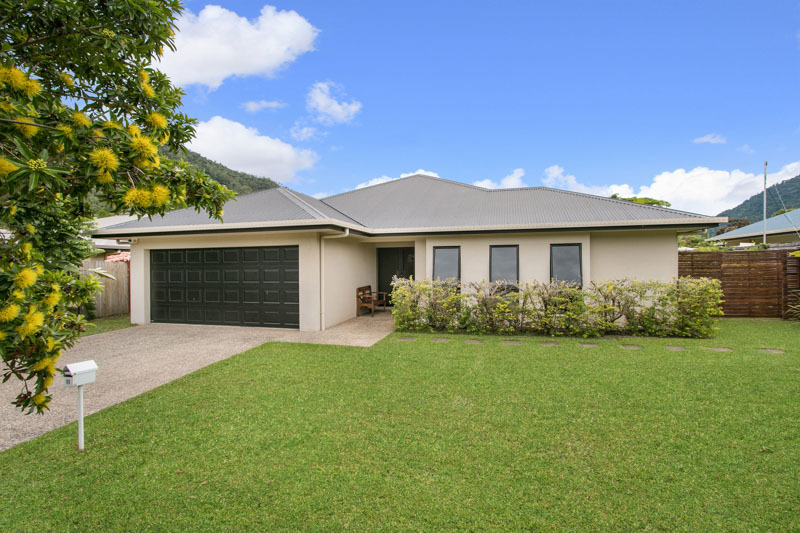 I was very happy with the whole team at Redlynch Real Estate! David Jeffries provided great advice, negotiated well and had a great knowledge of the area and the market. 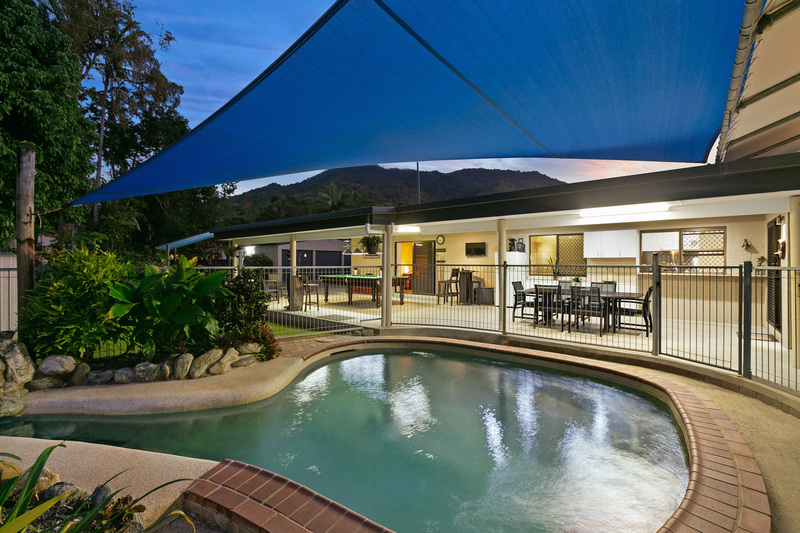 The whole team at Redlynch Real Estate were professional, responsive and kept me up to date. 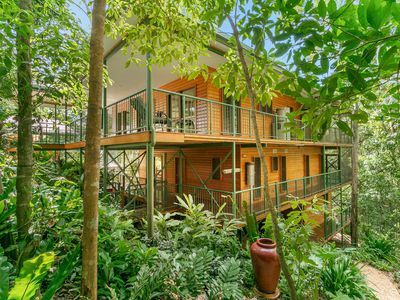 I would use Redlynch Real Estate again. Understanding, respected, knowledgeable and driven. I would highly recommend David to homeowners looking to either sell or just after advice. David helped me in a difficult part of my life. His integrity is unquestionable and highly rate him as an individual and an agent. 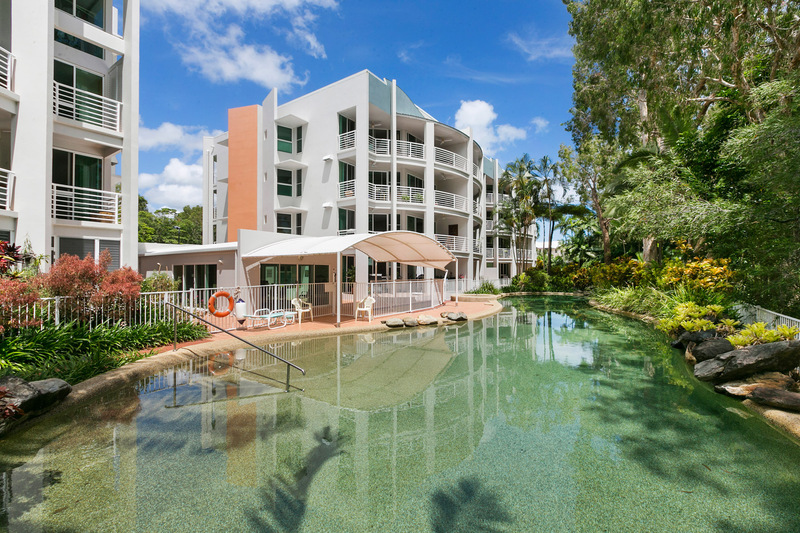 We recently moved up from Sydney to Cairns which wasn't a hassle free operation! 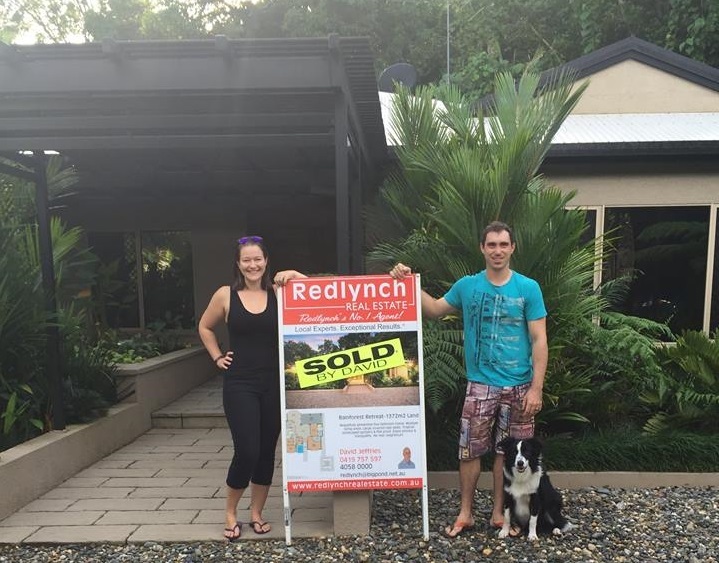 But Redlynch Real Estate agents were very helpful! The distance was the main setback but they were doing the very best so everything goes as smoothly as possible! When we moved in to our new house they still offered more assistance to us even though they didn't have to! In all David Jeffries has very nice staff and they deserve five stars! 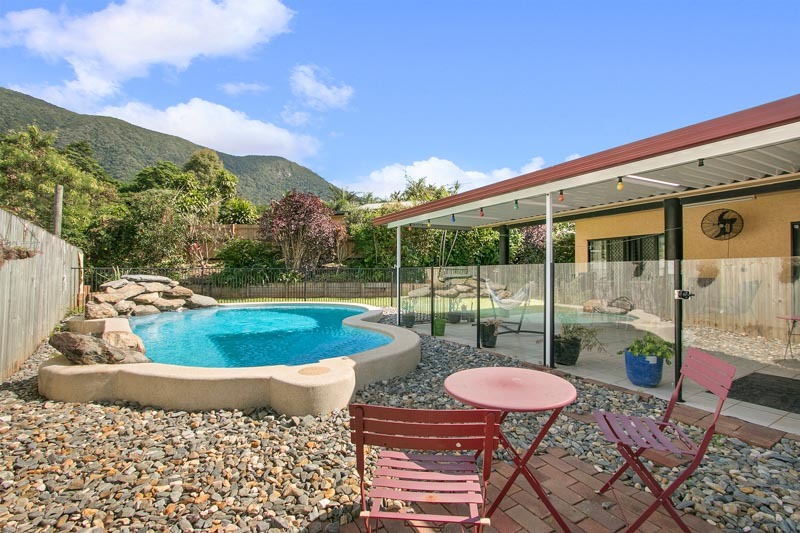 As time went by and potential buyers came and went we thought the interest of the agent would wane and selling the property would go on the back-burner and get less marketing effort. But it was quite the opposite. The agent was always on the job looking for buyers. In the end persistence paid off and the property was sold and we were happy with the price. Dave and the team took time out to explain details of the contract to us. It was greatly appreciated. David had great knowledge of the area and even gave us some tips on what we could do to improve property value. The staff are friendly and happy to go the extra mile, nothing is too hard! Thanks David and your team for your honest and up front approach through the whole process. 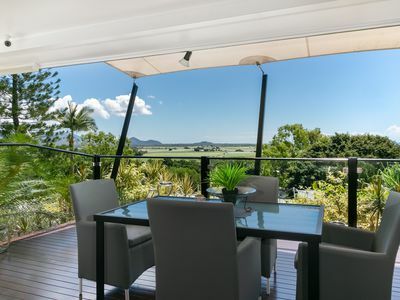 I certainly would recommend Redlynch Real Estate to others. We would highly recommend David as a very experienced and credible agent who will provide you with honest and timely market information as well as excellent sales strategy ideas. We were very happy with his advice and success in finding us a buyer for our property. Very happy with the result. Thanks to a great team. We found David an excellent agent and highly recommend him to anyone looking to sell their house. He was extremely professional whilst being friendly and courteous. He was able to address all our questions about the home and helped facilitate the negotiations which ultimately saw our offer being for the home being accepted. I wouldn't hesitate in recommending David and would certainly use him if and when we choose to sell our home. 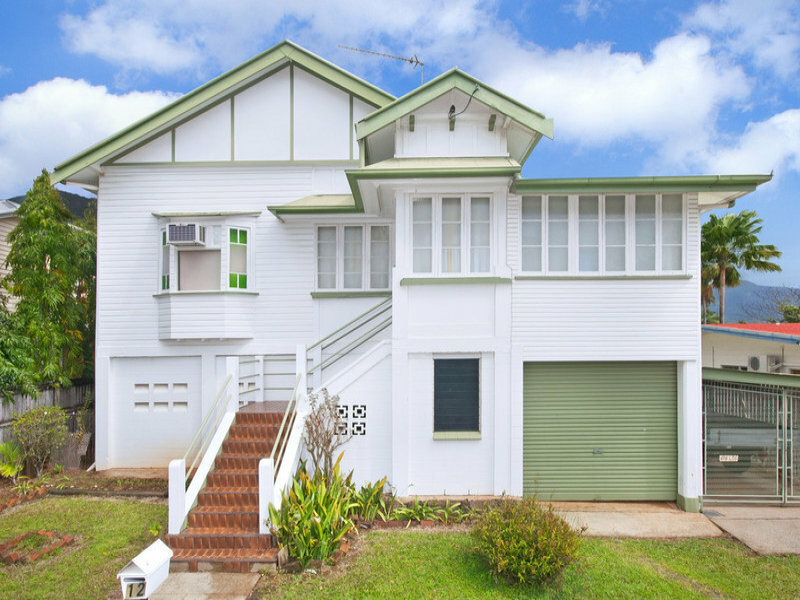 I would like to thank David and the Team for the efforts in securing a sale on my property at 58 Perserverance Street. 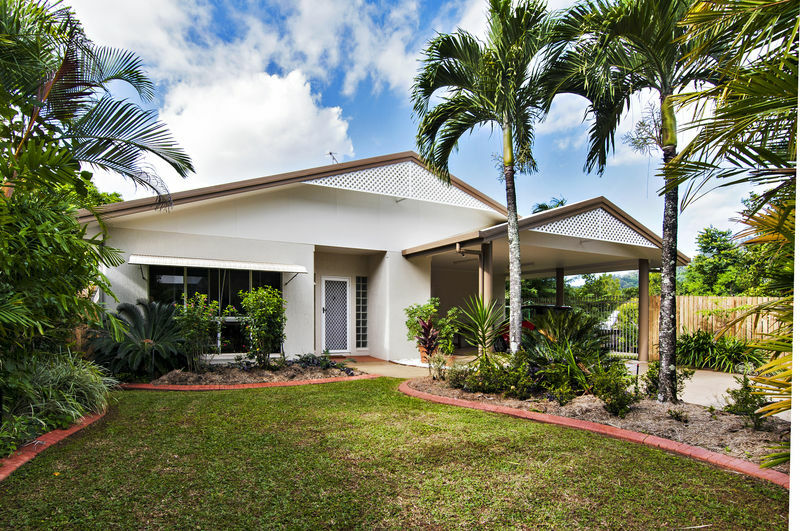 Redlynch real estate was able to sell my property quickly for a price that was acceptable. 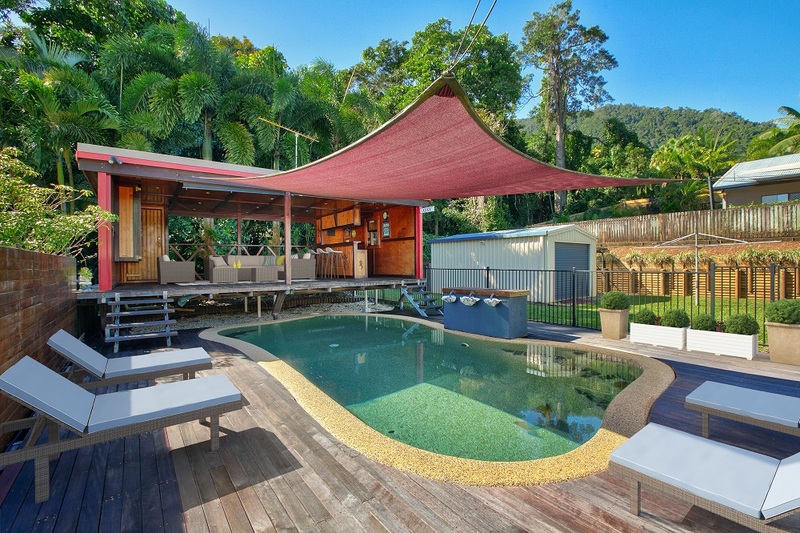 Redlynch real estate utilse proven marketing techniques and modern online marketing tools. 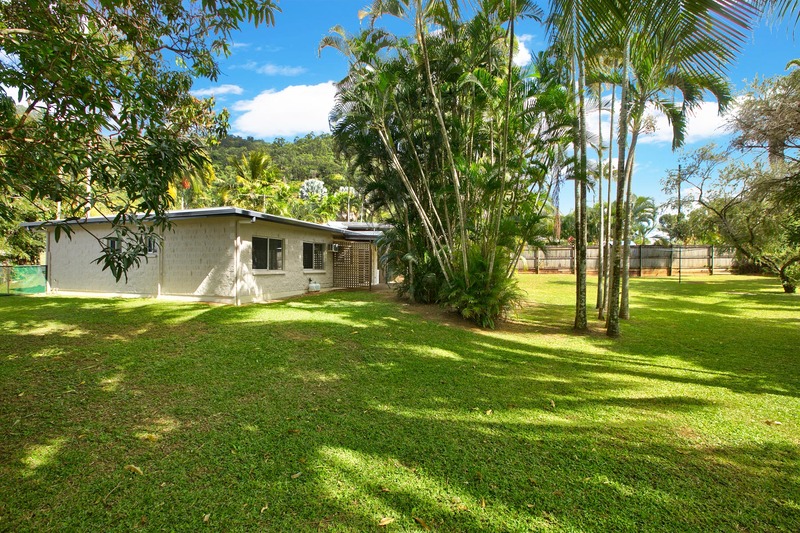 This is the second time I have used Redlynch real estate for sale of a property and would recommend them to anyone looking for a superior service and honest agency. We contacted David Jeffries after we had tried to sell our house without an agent. We were immediately impressed by his honest straightforward manner his experience in the industry and his market knowledge. There were no extravagant promises, just the promise of a solid marketing program, a commitment to work hard until the job was done and a promise to communicate with us during all stages of the process. 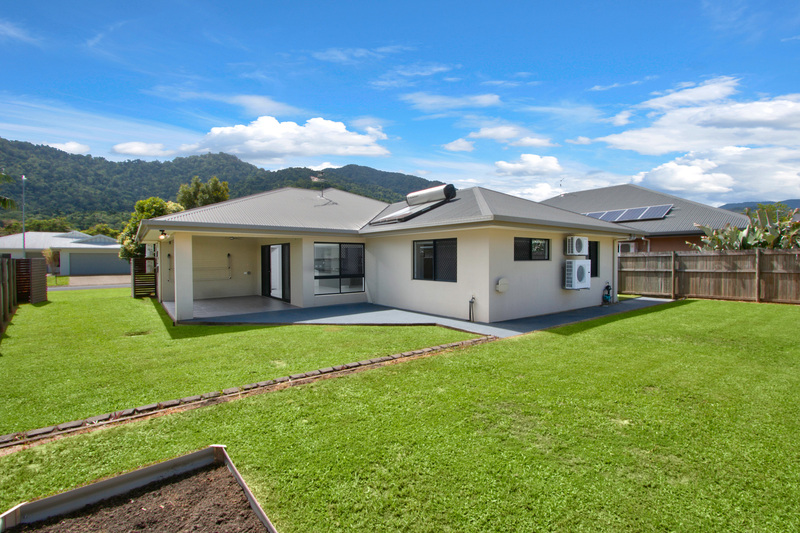 David and the team at Redlynch Real Estate delivered on those promises and delivered a very prompt sale of our home. I would highly recommend David to any prospective seller. 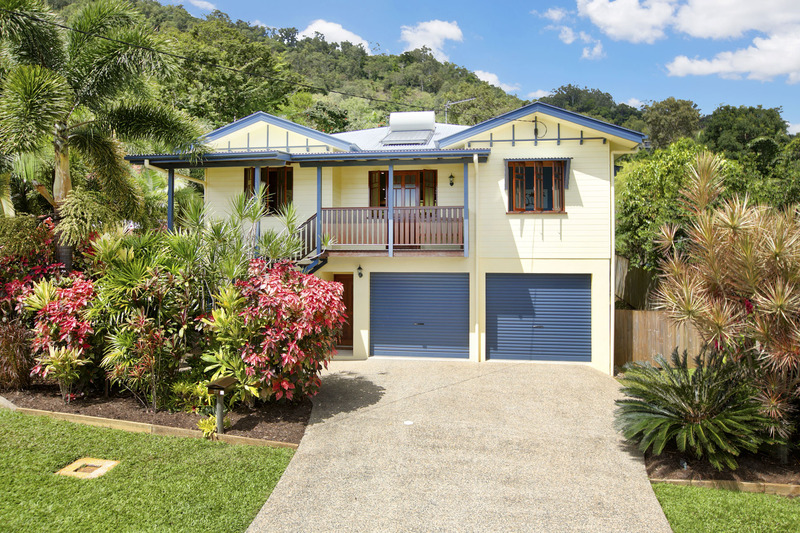 We would like to thank David Jeffries and his team at Redlynch Real Estate for the sale of our house. Although the sale of the property took longer than expected due to a changing market- we were very happy with David's prompt and professional attitude. David and his team were always well prepared and available to answer any questions that we had. 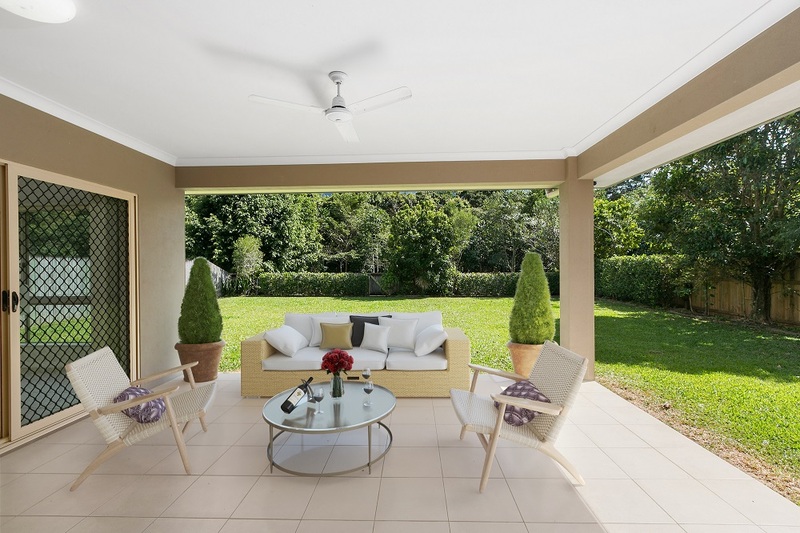 We would highly recommend Redlynch Real Estate to any friends of ours. Thank you again for your great service. 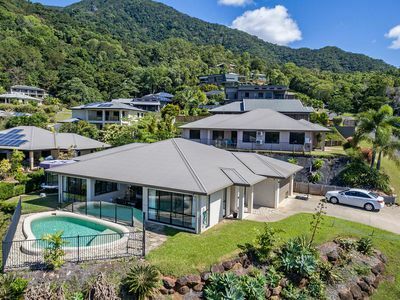 I recommend David & his team without any hesitation what so ever, I found the team to be friendly, honest, open & supportive throughout the entire purchasing process, Buying a property can sometimes seem daunting to prospective buyers, But David & his team were there to assist all the way through, Well done Redlynch Real estate. David and his team are professional and knowledgeable. They are careful to consider the needs of their seller and lead them into the foray of selling a home. We had a very negative and pushy experience with another agent making us reluctant to engage anyone without a great reputation. David not only came highly recommended but exceeded our expectations. David worked with us to create the best outcome - cant ask for more than that! David's professional yet easy manner made the completion of contract on our new home stress free. I have also sold property through his agency and recommend his services. Thank you David and your team! 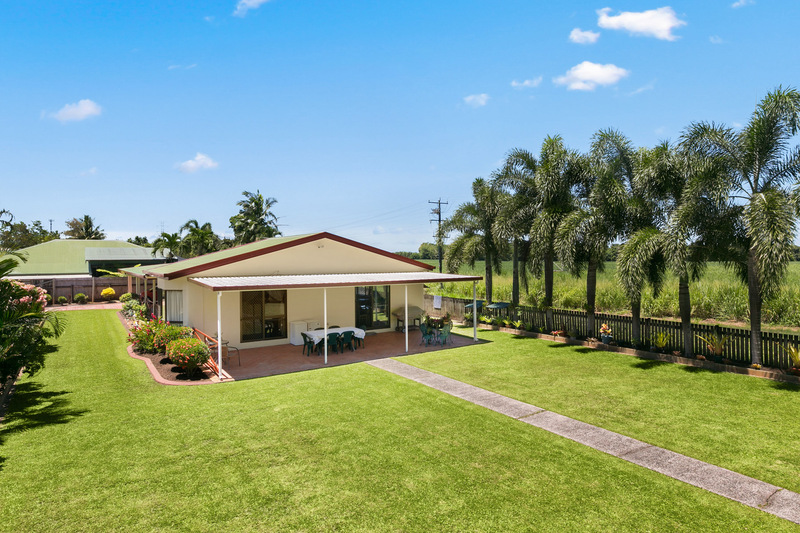 Having previously used the Redlynch real estate team to sell an investment property we again chose to sell our family home of 17 years through David and his team. David's local knowledge, understanding of the current market place and buyer contacts was clearly demonstrated. Through David's negotiations our home was under contract within a very short period of time with pleasing results. Throughout the entire process we were kept Informed, communications were open and honest. 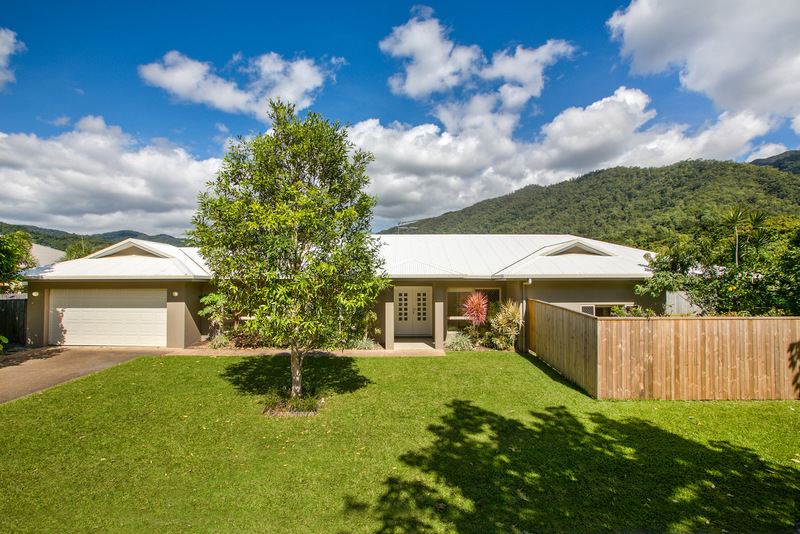 We would highly recommend the Redlynch Real Estate team to anyone considering selling. David and his team did an absolutely magnificent job for me. 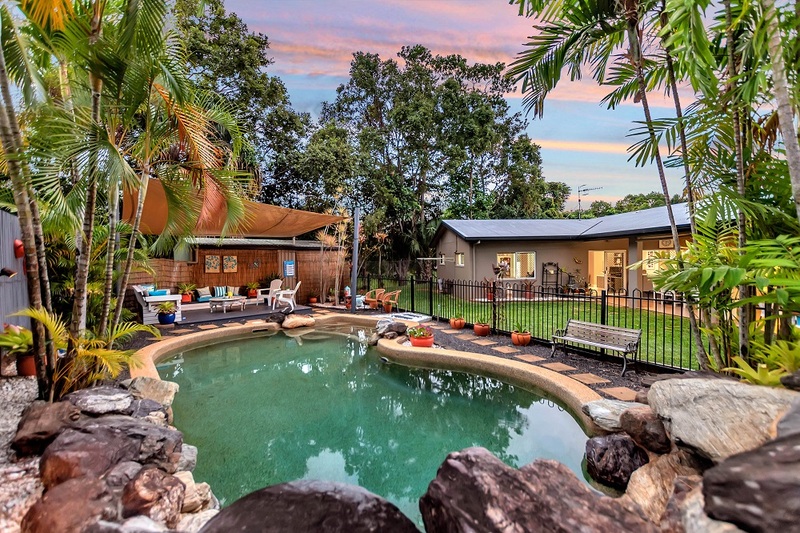 I felt totally confident in trusting their advice, was advised on the best way to sell my property, which i did, and it sold extremely quickly, which i wanted. We were looked after by David and his team through the whole process and i firmly believe we made the absolute right choice with dealing with David and his team. I will be going back to them first when my time comes to purchase again. First rate service. I can't thank David and his fantastic team enough. A real pleasure. I warmly recommend David Jeffries as your Real Estate agent without hesitation. He was very helpful and gave me advice when I asked for his opinion. He replied straight away when I had questions and I felt I could trust his market knowledge as well as credibility. 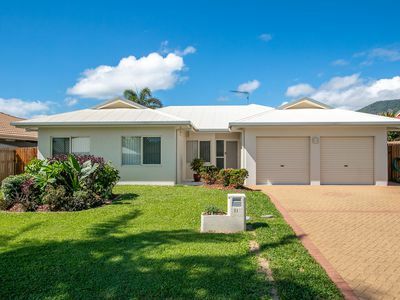 David and the team have been great with the sale of my property and currently selling my 2nd. 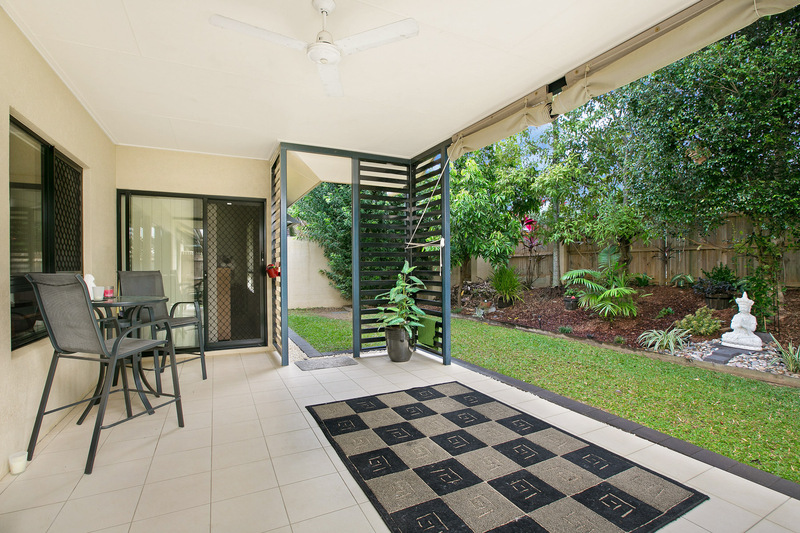 Communication and advice is highly reliable and relevant and would recommend to anyone that is looking to buy or sell. 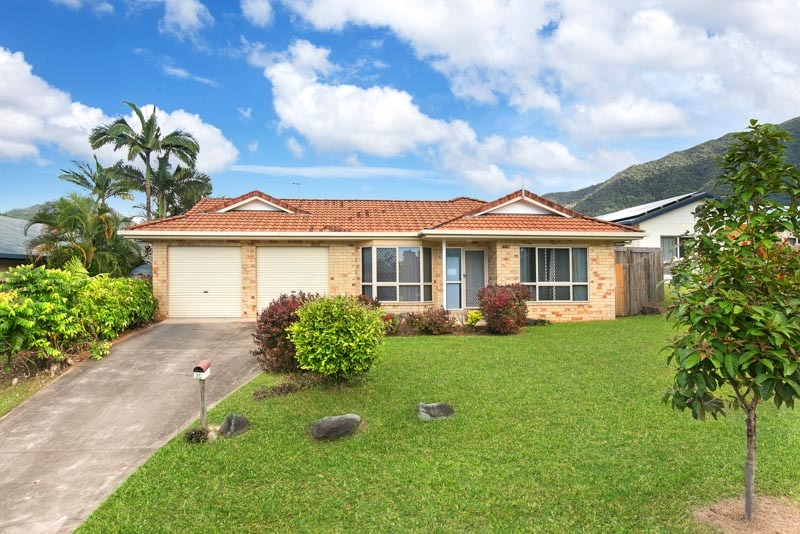 Nothing was too hard for David & the team at Redlynch Real Estate. Communication was excellent and their approach was friendly and professional. Would definitely use again! My wife and I have owned this property as a rental for over 10 years. When deciding to sell we looked for a reliable 'local' agent that understands the current market. 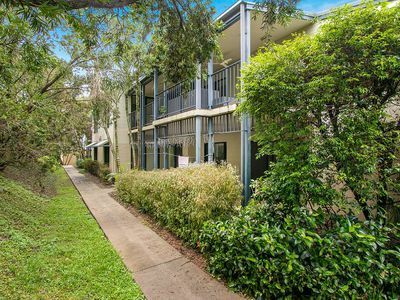 The property was tenanted through a different agent making inspections difficult, however all courtesy and respect was provided to the tenants at all times. We received professional pre sales tips and guidance, were kept fully informed and were happy with our negotiated sale price. 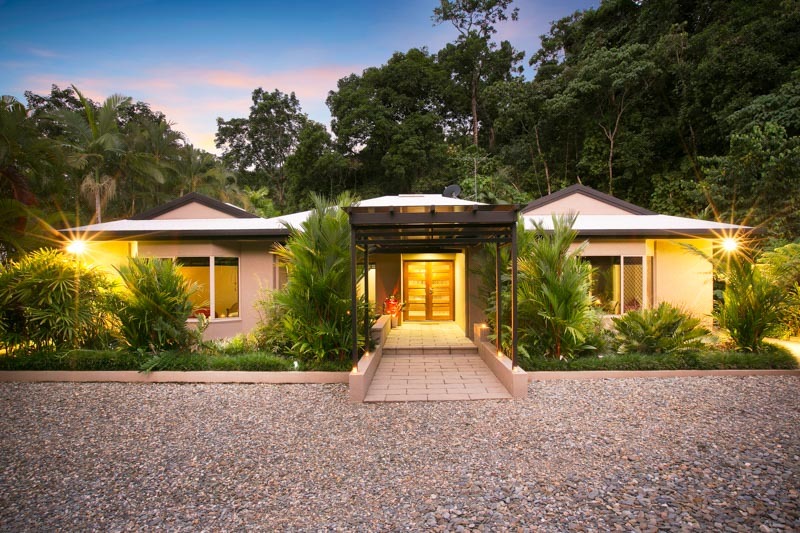 Redlynch Real Estate is well know in the area and is run by a small dedicated team. We will be using David's team again. Very easy and professional agency to deal with when purchasing our home. Thanks to all 3 of you for holding our hand on this path! Could not have done this without you!! A big thank you to Amanda The Best Property Manager Ever for putting up with me over the past 2 years! From the very first step of viewing the property through to the last with the hand over of the keys David and his team were brilliant. Always keeping us informed, friendly, approachable going the extra mile to ensure that we were happy. 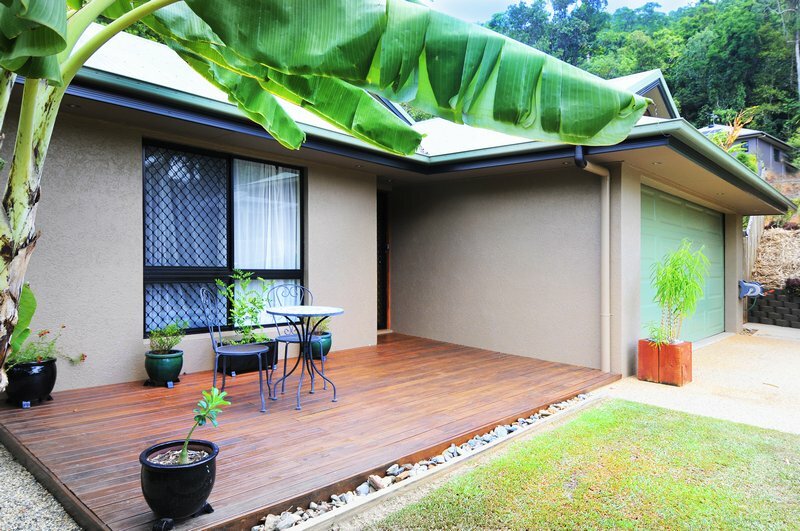 I would highly recommend Redlynch Real Estate for all your property purchases. 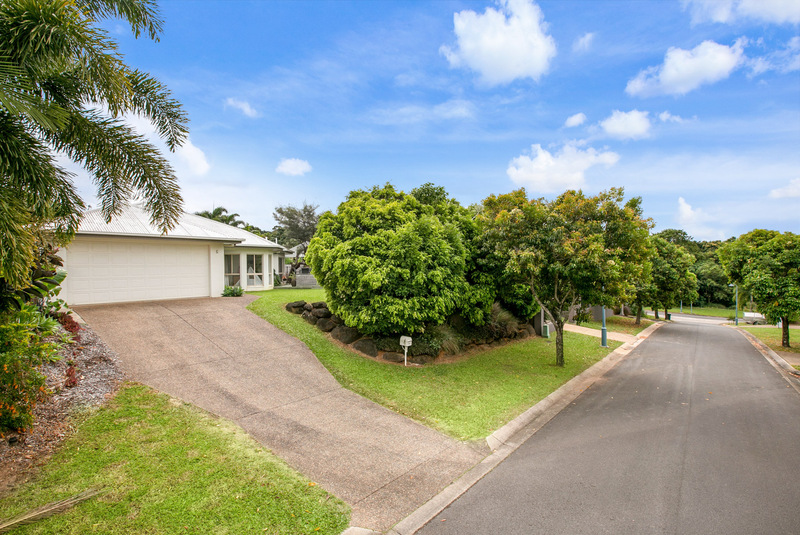 As purchasers we know that the Vendor was given good advice from the way the open inspection was setup - we drove past the "Open for Inspection" sign outside the property quite a few hours before the Open Inspection itself! Our offer was presented to the Vendor and accepted by him all within 72 hours. We then hit a couple of bumps with our own arrangements which were communicated back to the Vendor by David and his team and we were still able to settle on the original planned date. Then there was that nice little surprise when we collected the keys. Thank you to David, Kerri-ann and the rest of your team! Honest and realistic advice is hard to find in realestate agent's but this is exactly what Davids team provides. 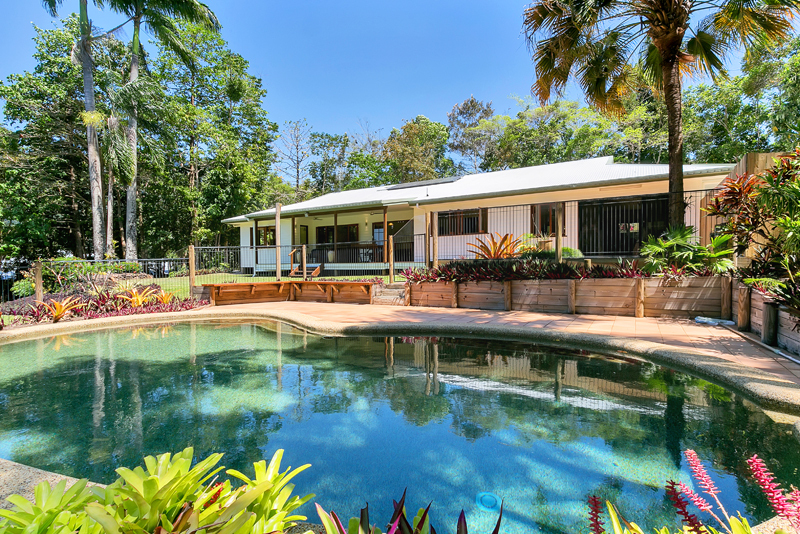 I have had the pleasure of dealing with the Redlynch Real Estate team for many years. They have provided a first class team supporting me from purchasing, property management and sales. Thank you David, Amanda and the team. David Jeffries @ Redlynch Real Estate did an excellent job selling our property in the required time frame.We would definetley recommend David to anybody buying or selling. I have used Redlynch Real Estate for purchasing, rental and sales. It is my pleasure to recommend this company for anyone who is looking for more than just an agent. Many thanks David Jeffries and staff for all your help. David gave us some good advice in preparation for selling our property which we took on board and applied. This resulted in a great outcome for us: we sold our property within a few weeks for a price that we were happy with. 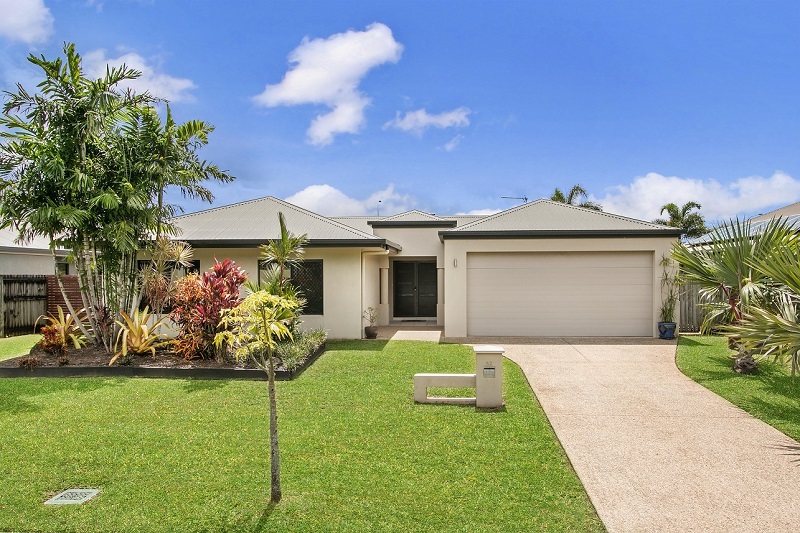 I highly recommend David and his team at Redlynch Real Estate. 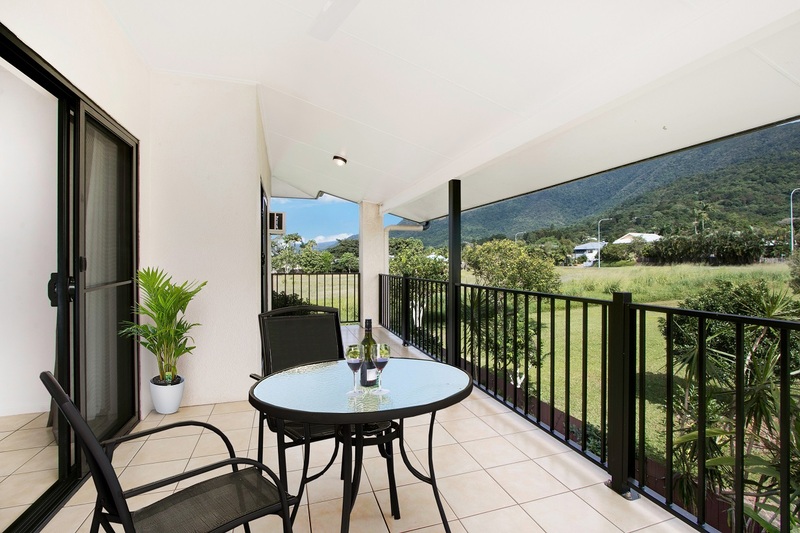 I want to thank all the team at Redlynch Real Estate especially David, Kerri-ann and Lisa for their work in obtaining for me the highest sale price I could hope for on my property at Kamerunga. The team responded to all my questions promptly and conducted themselves professionally at all times. I was encouraged by their positive manner and remained confident that they were all working to achieve the best possible outcome. I would recommend David to any prospective seller. 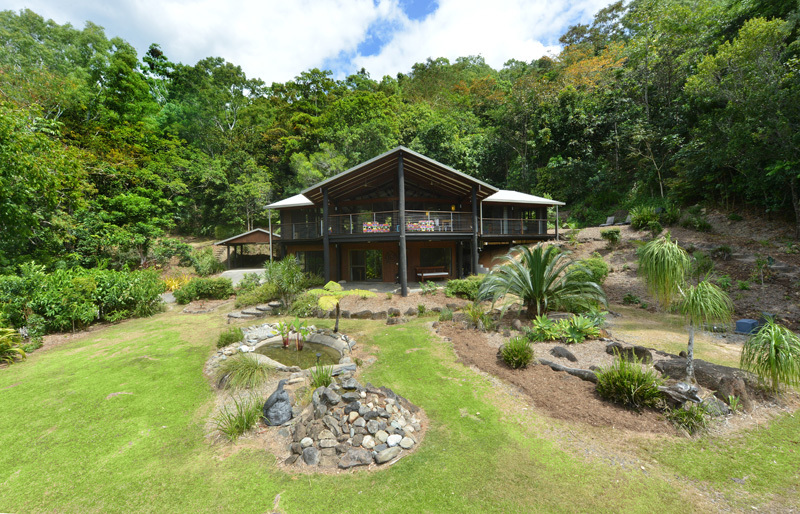 David, Kerri-ann, Lisa and the rest of the team at Redlynch Real Estate were an absolute pleasure to work with. They were friendly, professional and above all else, extremely helpful. Highly recommend them to everyone. David has impressed us with his professional approach regarding the sale of our property, combined with excellent communication with us. Our experience with David has been a thoroughly positive one and we highly recommend him to take care of your property needs. David & his team were very pleasant to deal with. Always answering our questions & keeping us informed. They worked hard to get our home sold & were very helpful with ideas to help get the best price for it. Thank you. 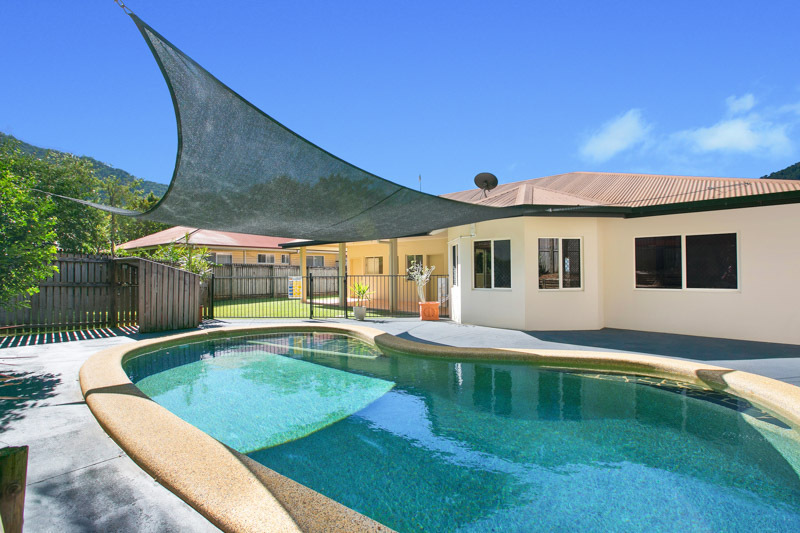 We had some difficult requirements and this property almost met them all, David was not overwhelming in any way and he allowed us to go about our plans and ideas without any time restraints. The whole process threw up a few curve balls from our side, Ultimately David and his team discussed the issues with the seller and made the process simple as possible for us. Thank you. 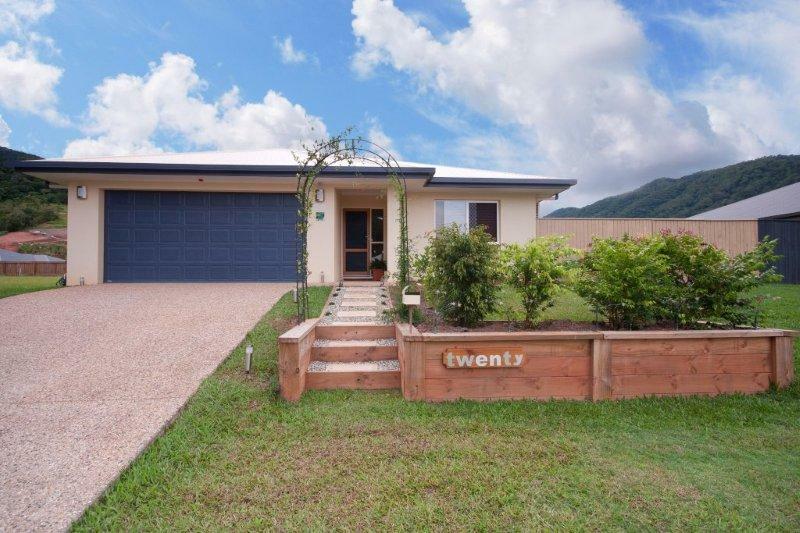 We don't sell houses every week so the assistance David and the team at Redlynch Realestate gave us was very valuable David spent time looking over our property and provided some Great ideas with presentation and marketing The property was on the market and a contract signed inside the first 7 days The Redlynch realestate team continued with great service and commitment till the completion of the handover It was a pleasure to deal with David and the team. 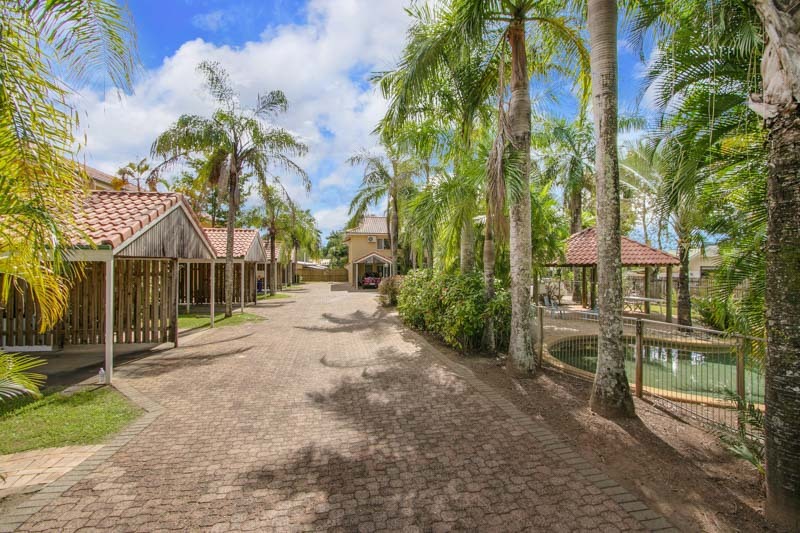 I engaged David and his team at Redlynch Real Estate for the purchase and again 5 years later for the sale of my property. On both occasions I found David to be direct with a likeable personality when steering us through the contracts, prepping for open days and settlements. We ended up with a headspinningly fast sale at the asking price...painless! Many thanks David for all you did in selling 12 Margaret St. for us. The sale went smoothly from start to finish, we were kept up to date the whole time and settlement was finalised before the due date. We got the price we wanted and I am sure the buyer was pleased with what he bought. Once again many thanks. David is a great communicator who is also very approachable . We had a difficult block to sell and had gone through many real Estate agents. David was always positive about our block and gave it great titles such as 'boutique' and 'lifestyle' . After 7 years of it being on the market , David sold it in 6 months. 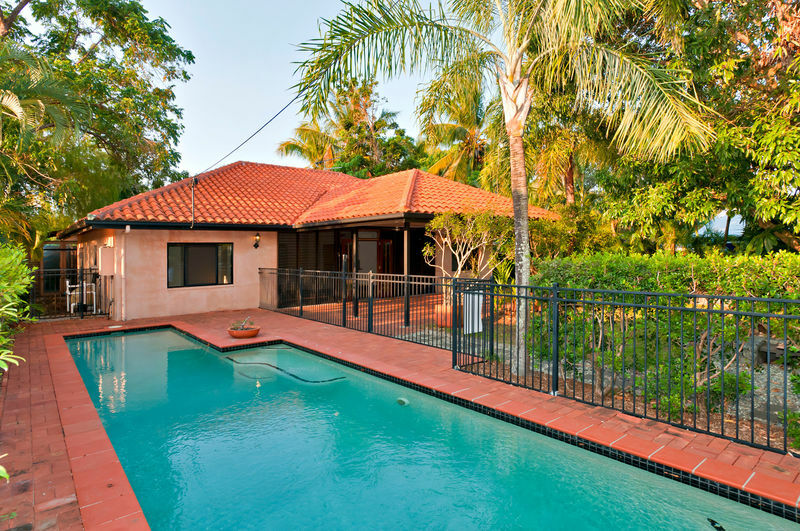 We are very happy with the service and updates we received from all the staff at Redlynch Real Estate . When we were advise that the owners were going to sell the house we were renting, Jovy and I were very sad as we didn't think we would be able to purchase this place and were faced with the prospect of packing up and moving again. 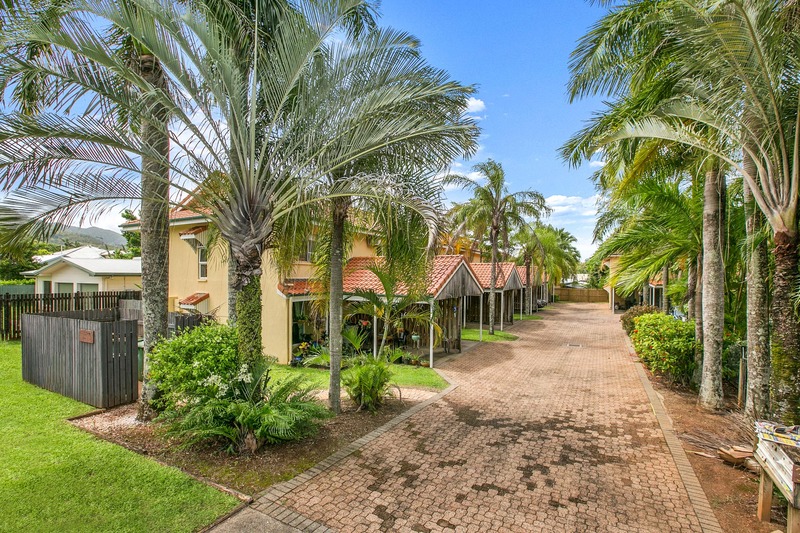 Jovy and I discussed our options with David at Redlynch Real Estate and David was, by some miracle, able to negotiate a way that made it possible for us to finally purchase this property. I think even Dave was a little surprised that the owners agreed to his request. 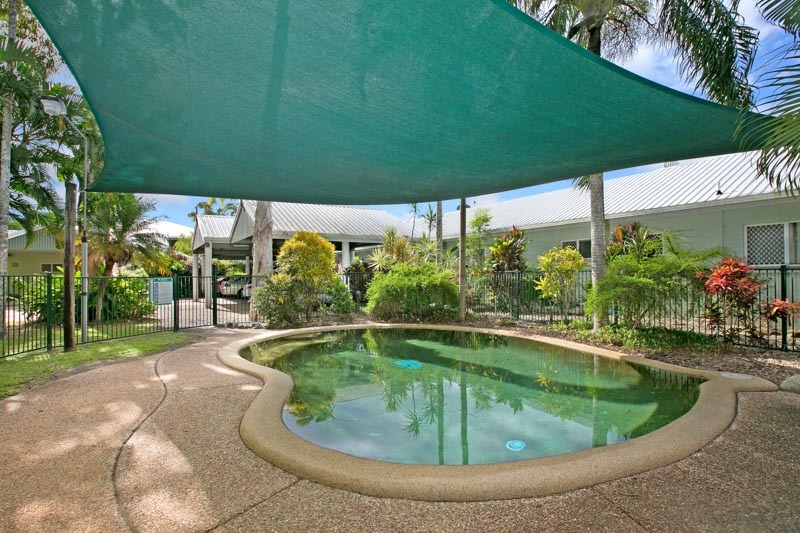 So Jovy and I really want to thank the team at Redlynch Real Estate. 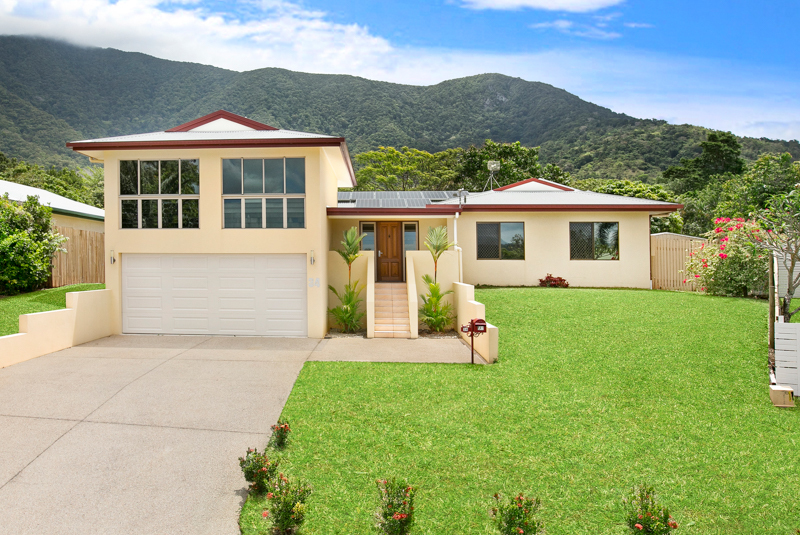 David and his team at Redlynch Real Estate sold my house in only two weeks. David's expert advice and knowledge helped us to gain the right buyers and get the right price for our house . 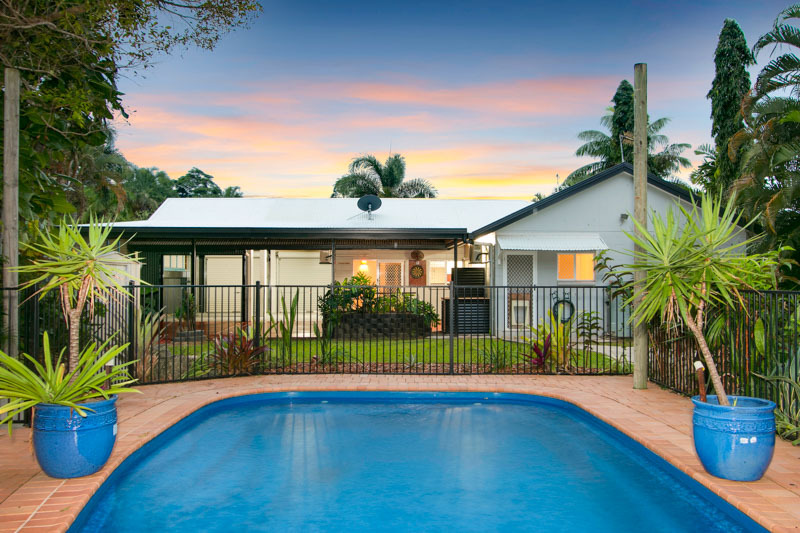 I would recommend the team at Redlynch Real Estate if you want to sell to property quickly. Thank-you David. Couldn't be happier with David's service. He's a true master of the industry and a very likeable and down to earth person. David Redlynch Real Estate made the purchase of our new property extremely stress free and easy. The staff went out of their way to assist where possible. I would highly recommend them. 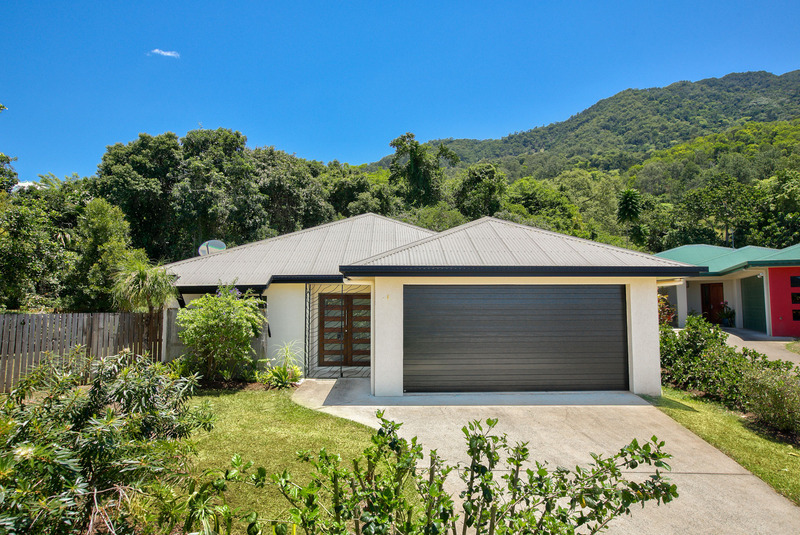 We just wanted to express our gratitude to you and your team for achieving such a quick and positive result in the selling of our property in Ebony Street, Redlynch. 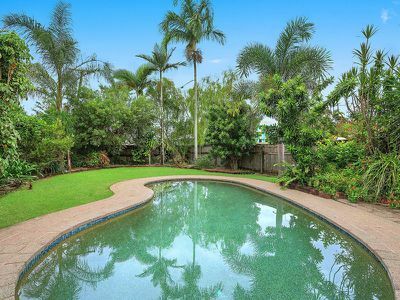 Whilst the "To Do List" I had prepared totalled some 6-8 items I considered necessary to "see to" prior to our house going on the market, through your eagle eye and experience that list ended up totalling over 50 minor items that required attention, so as not to deter any prospective purchasers. But the attention to those details without doubt reaped dividends. Should any future client see these comments I would strongly recommend that they heed fully any advice that you may give. 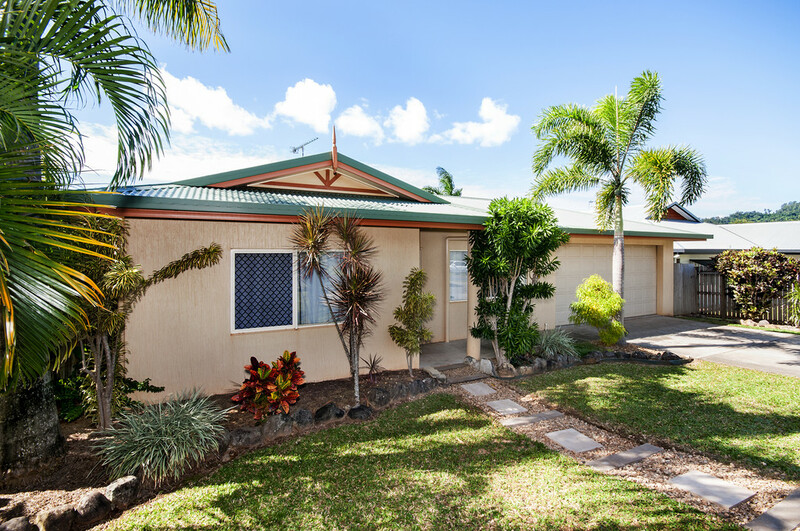 We were more than happy with the service we received from David and Kerri-Ann from Redlynch Real Estate. They are always very professional, knowledgeable and efficient, but are also very friendly and so easy to talk to at the same time. We really appreciate the time and effort that was spent on marketing our investment property. We were always kept informed and up-to-date with what had happened with our house. 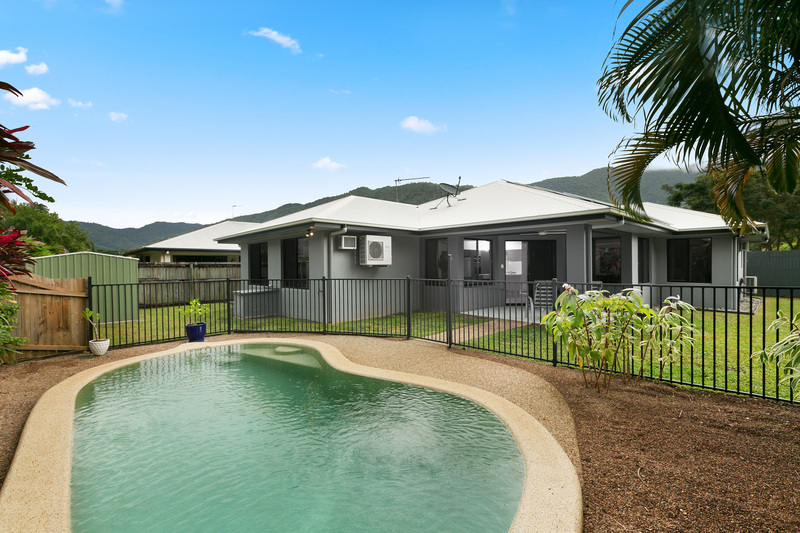 We got a good result and would highly recommend Redlynch Real Estate to anyone wanting to sell their home. We would definitely go back to them again. To anyone considering selling their property, I would recommend you take the time to have a discussion with David Jeffries and his team. 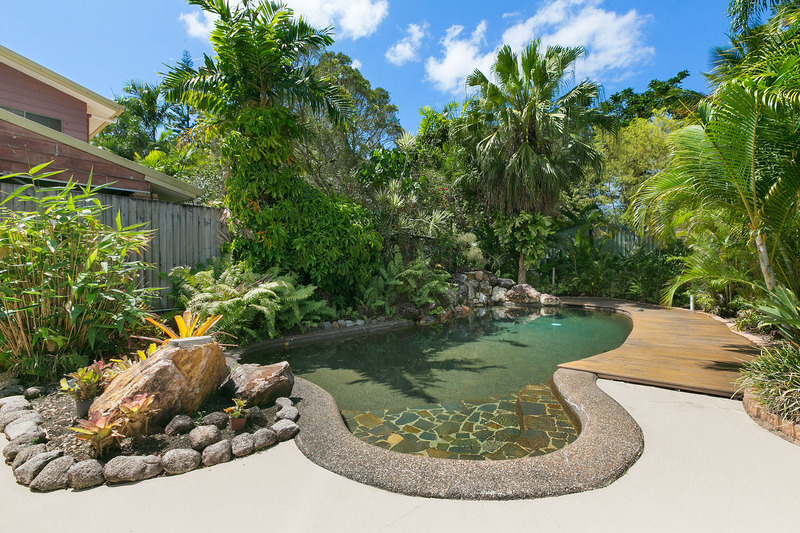 •	I was undecided on when to sell my Cairns property, I called David for some advice on the market at the time. He gave me frank information on the market and an understanding of his sale strategy for my house if I decided to sell. •	David contacted me every month or so for an unpressured chat about the market status, this continued for eight months until my wife and I were happy with the market and ready to sell. 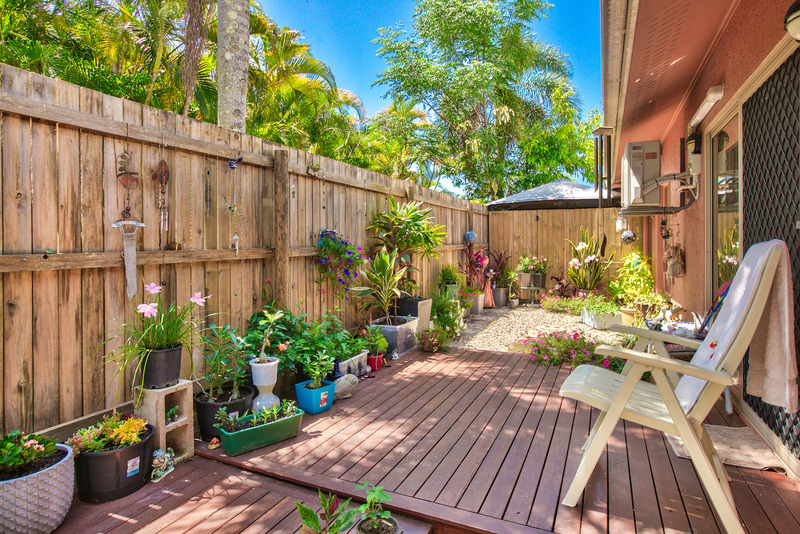 •	He viewed my property and with his experience suggested I make some simple low cost improvements to help with the sale. 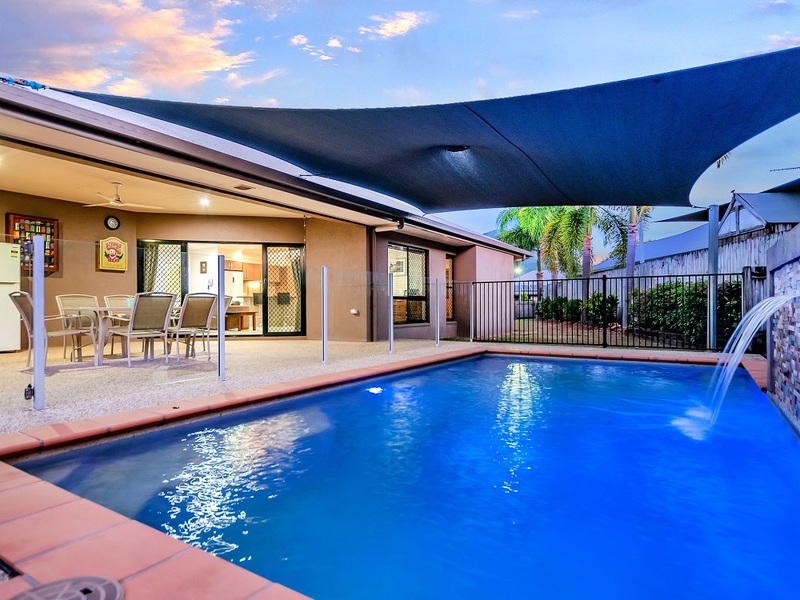 •	I approved the work and it was completed hassle free within a week, I will add here that I live in Perth so all of work was completed through trade’s people recommended by David via emails and photos. •	He customised an advertising package to suit my house and put it on the market. 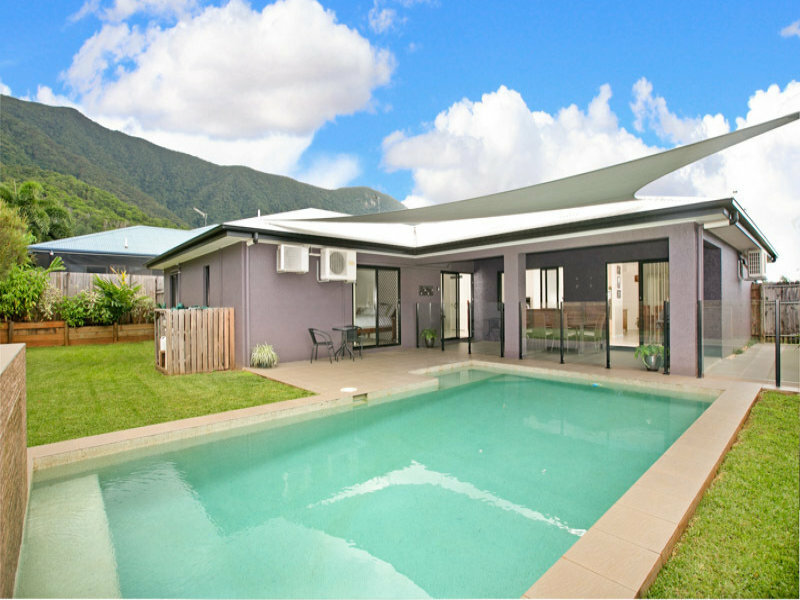 •	The house was under offer within a week of being on the market and at the asking price. •	But David’s help did not end there; he again followed up on the progress of the sale until it was completed. Thank you again David Jeffries for all your help, all the best from a very satisfied customer. 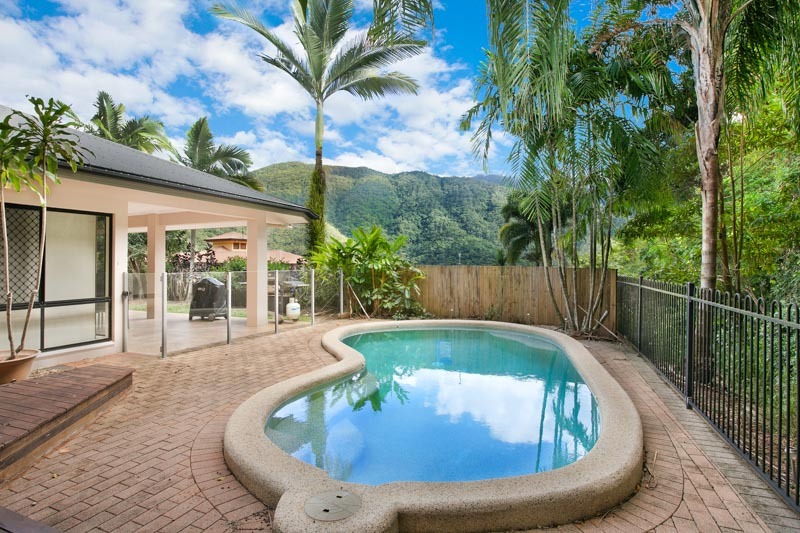 I found David Jeffries very helpful when my property was listed for sale through Redlynch Real Estate recently. He offered constructive advice on how to maximise the sale potential in my house without me over – capitalising. His team were very professional, very approachable, and to be honest really cared about getting my property sold. David has a vast knowledge of the local area and kept me up to date with what was happening in the current property market, I have no hesitation in recommending his agency to anyone who might be interested in buying or selling in the area. 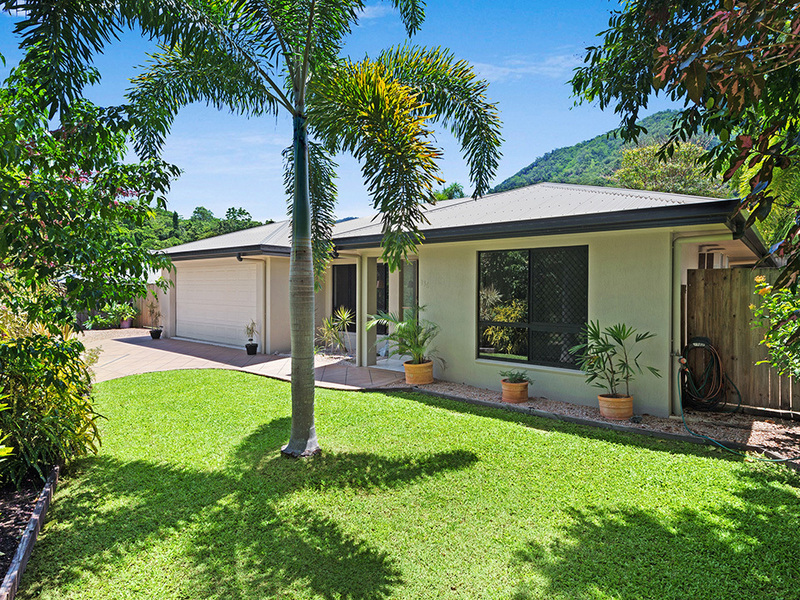 With a quick move due to work commitments the team at Redlynch Real Estate helped make selling our house stress free. David arranged the first meeting promptly and we had it on the market within days. They went above and beyond with the open homes and have great forms of advertising that suited our budget. 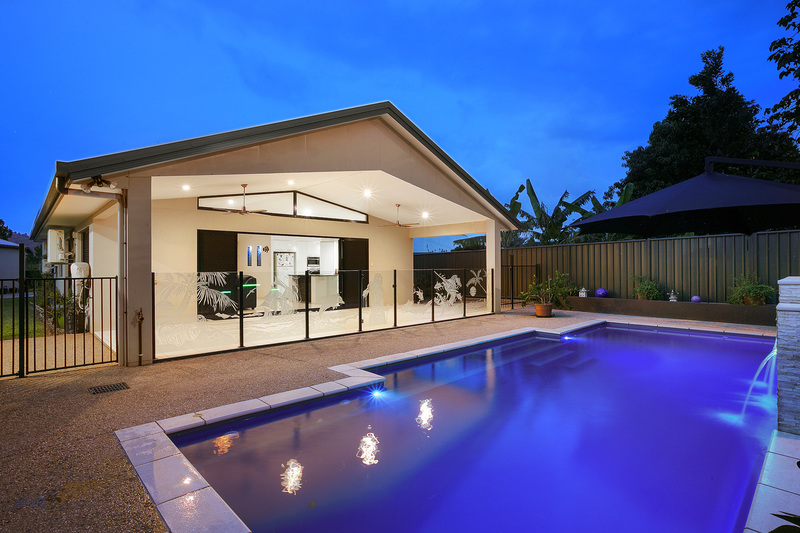 Within three weeks we were contracted to sell and everything ran very smoothly. We also brought our house off of David originally hence the reason for going back as even when buying the service was great. David kept us up to date with what was happening during and after our sale. All the staff were friendly and helpful. 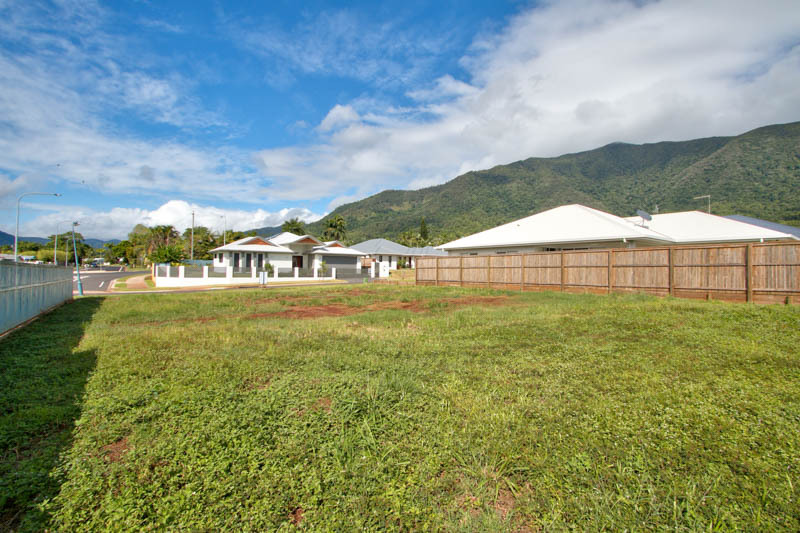 As we were not living in Cairns and our property was in Redlynch we had been in contact with David for some time while we waited for the local property market to recover. Following David’s advice that the time was right we put the property on the market and received positive responses almost immediately, however the sale of this property presented some unique challenges and the journey from initial listing to final settlement was somewhat longer and more arduous than anybody had anticipated for a variety of reasons. Through all this David stayed the course and kept his sense of humour that at times was indeed challenged, and during this process my wife and I established a good friendly business relationship with David and his team, it was a pleasure having them on our side and we always had the feeling of being a valued client of theirs. 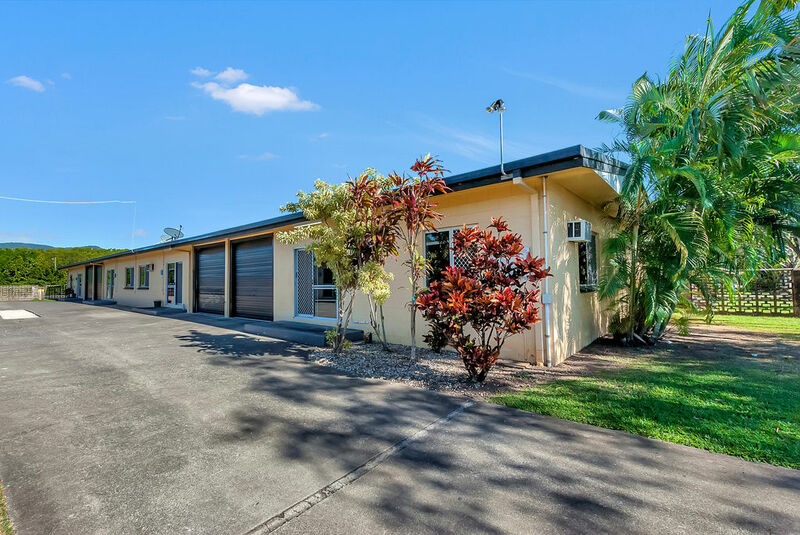 I would have no hesitation in recommending David Jeffries and Redlynch Real Estate to anyone looking to buy or sell a property in the area. We were completely satisfied with the service we received from David. He brought a knowledgeable and professional approach to the sale that definitely helped us get the best price. We had our house listed with another local agent for several months and irrespective of the many prospective buyers and inspections the house remained unsold. The fact that the house did not sell was very surprising to the degree that we were approached by several agents wanting to list the house. 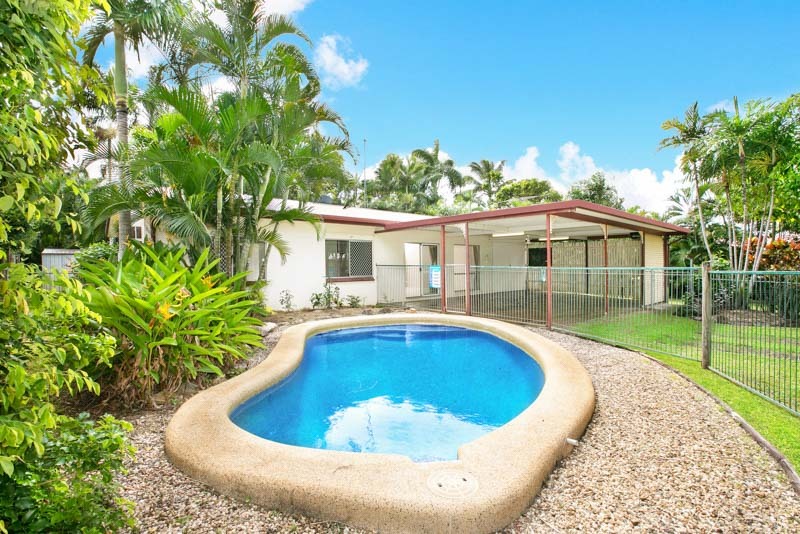 We decided on Redlynch Real Estate and the house was sold within weeks of listing. The billboard type advertising at the front of the house was a great advertising tool that attracted many potential buyers. David listened to our requests and the selling price was within our range. We would recommend David as an agent. A friend recommended me to David Jeffries. I found the entire process of selling my long help property relatively straightforward. David was available on telephone, and kept me in constant contact regarding possible buyers. His office staff were equally helpful and efficient. Thanks for the successful outcome. 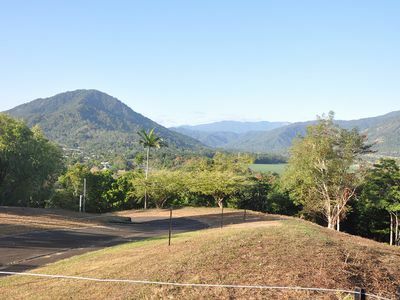 When we moved to Redlynch we loved our home and the area however due to circumstances beyond our control, after three years we had to move. We rented the house for a year and tried to sell it in a very depressed market and returned to renting. As things started to improve and we were unhappy with renting, we had our agent pursue a sale. 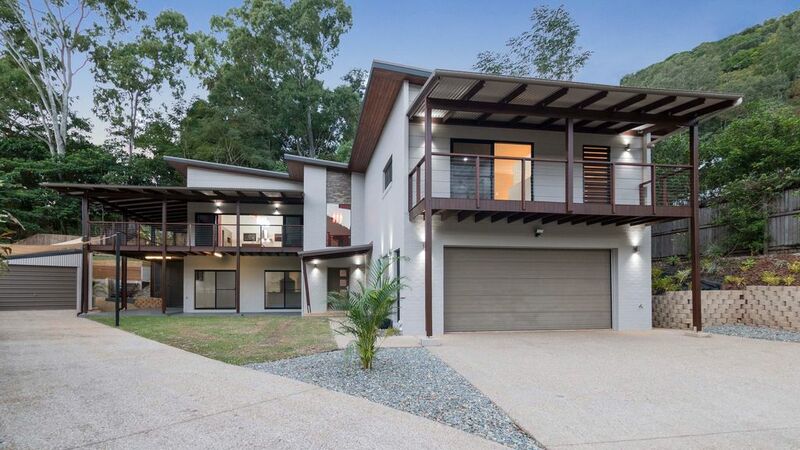 After six months, with little feedback and no offers and feeling very anxious about it all, we decided to see David Jeffries at Redlynch Real Estate. David asked us to identify the reasons we initially liked about our home and this alone had me thinking that he cared about the person selling their home. We met with David to discuss a plan of action and found him to be a good listener with good market advice. We appreciated his marketing strategies and his knowledge of what was happening in the property market. 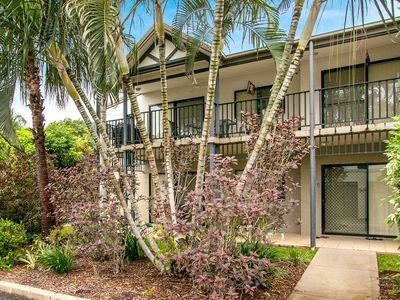 He knew about Redlynch and all the benefits of living in the area. David and Rebecca were always helpful and kept us up to date with what was happening and who had seen through the property. We found David to be encouraging, very professional and willing to adapt to changed circumstances. We highly recommend David to anyone wishing to sell their house. We always felt he had our best interest at heart. 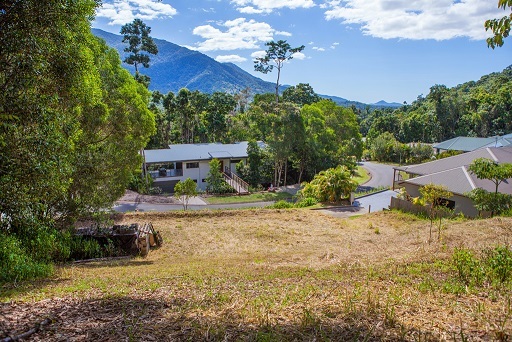 We have just moved and I thought I would write to say thank you for selling our property at Redlynch Valley Estate so quickly and for the right price. We didn't expect to sell so quickly and are very grateful for your professionalism and expertise in the sale. We really appreciate the information you gave us and the services you offered in selling the house, the picture sign and the Internet marketing really paid off! 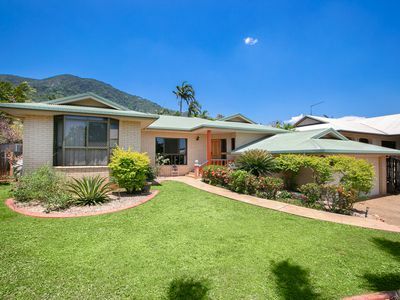 Thanks for a very smooth and hassle free sale of my property in Redlynch. It has been an absolute pleasure to deal with your office. Right from the start you were clear about what could be achieved and your strategy to do this. Everyone in your office has been professional at all times and I was always kept up to date with respect to any developments and interests in my property. I sincerely thank you for all your efforts and would not hesitate to recommend you to others or use your office again in the future. 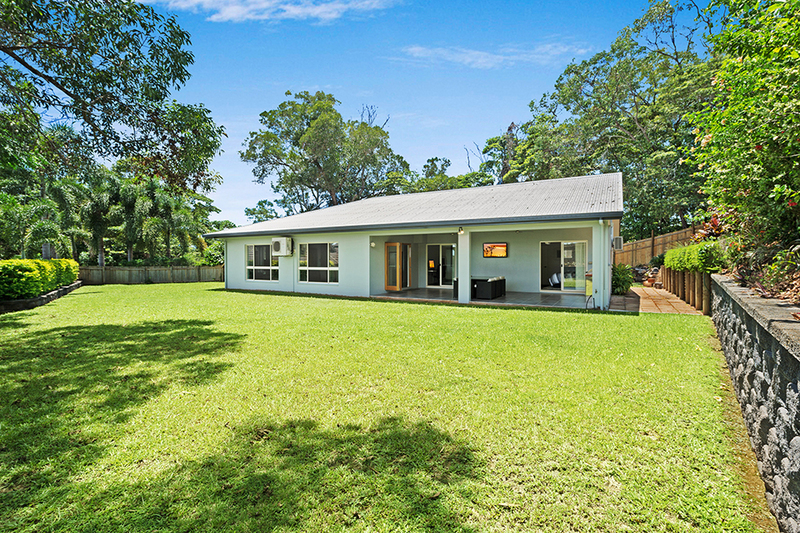 We would like to thank David Jeffries and his team at Redlynch Real Estate for their effort in selling our property. 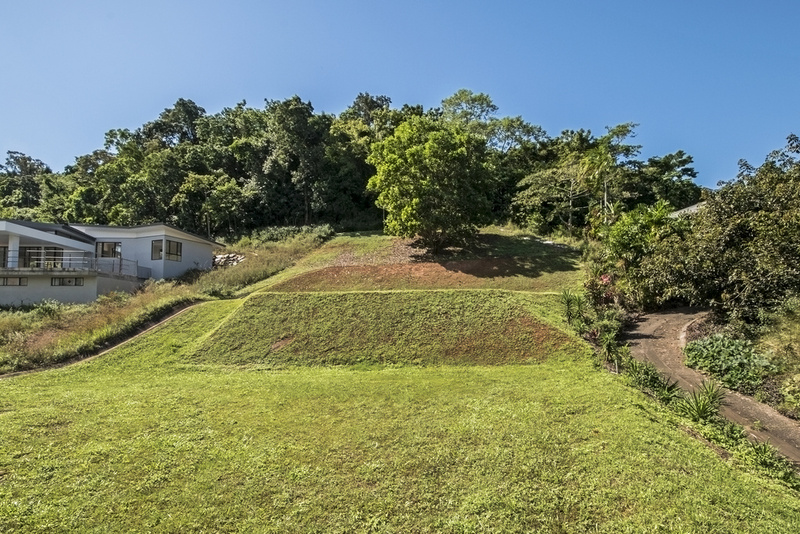 We listed our land with Redlynch Real Estate in a very depressed time in the market and David was able to get us a good price for it. From the beginning we were impressed with David's honesty with the market. He made some very good suggestions on marketing which to us made a lot of sense. We felt we could trust him with the sale of our land and he dealt with us with honesty and in a very professional manner. We would have no hesitation in recommending him and his team in the future to any future sellers and buyers. David managed to sell our house in a little over three weeks, and only 3% below our desired price. Can't ask for more than that. 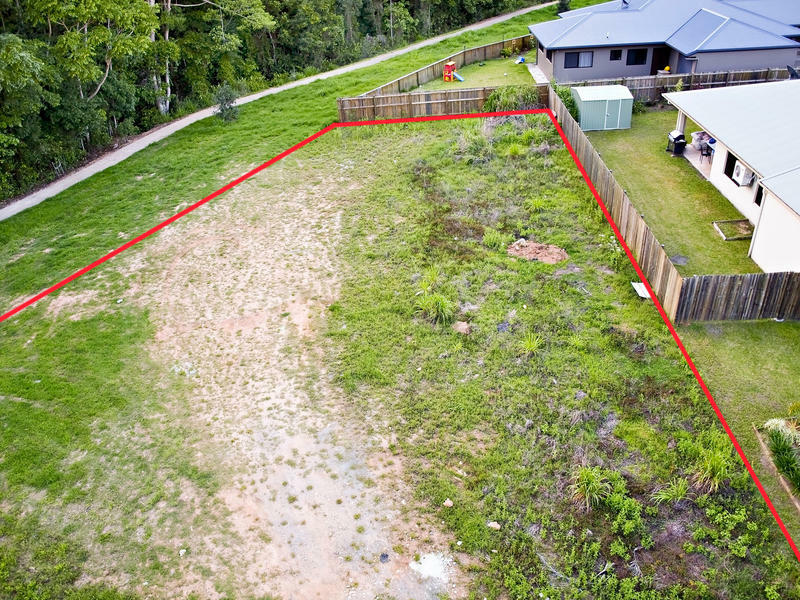 We would like to extend our thanks to David Jeffries and his team at Redlynch Real Estate for their hard work and persistence in selling our block of land. 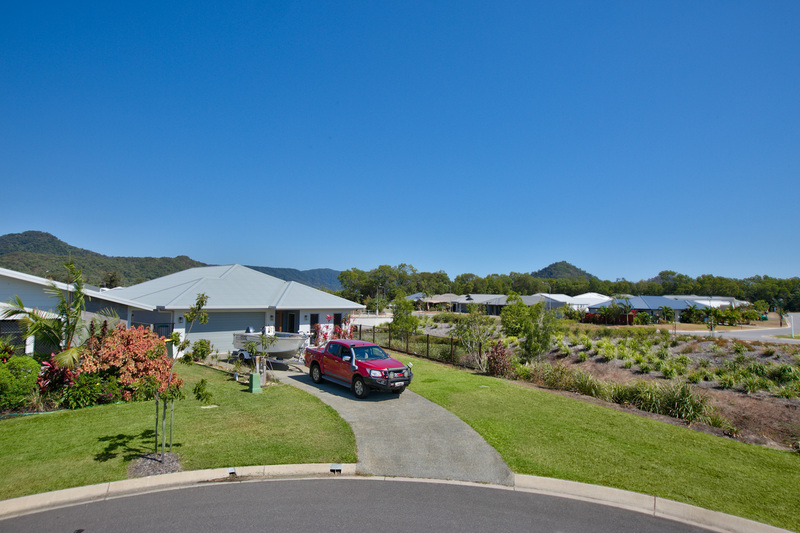 It has been a very difficult climate for land sales and the service David provided was faultless. We were kept informed at all times of any interest in the property and any offers as they were made. 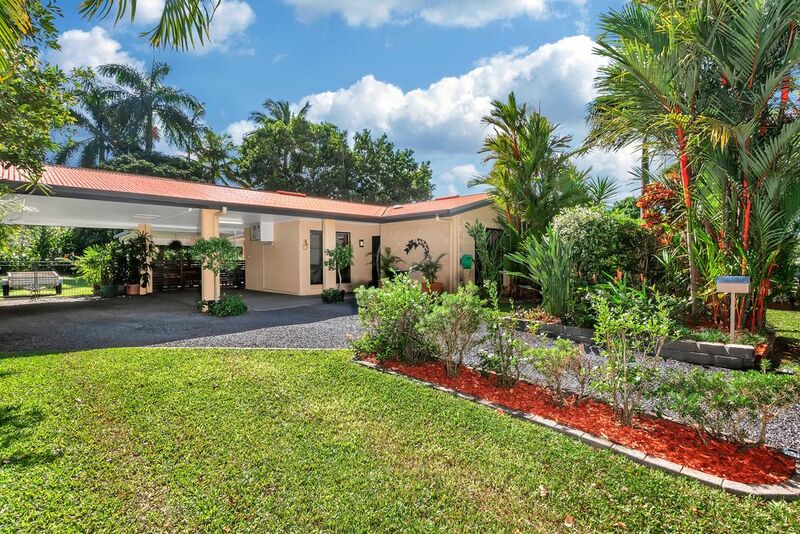 The level of service provided by David certainly surpassed that offered by previous agents the land was listed with. The entire process from listing to settlement was effortless. 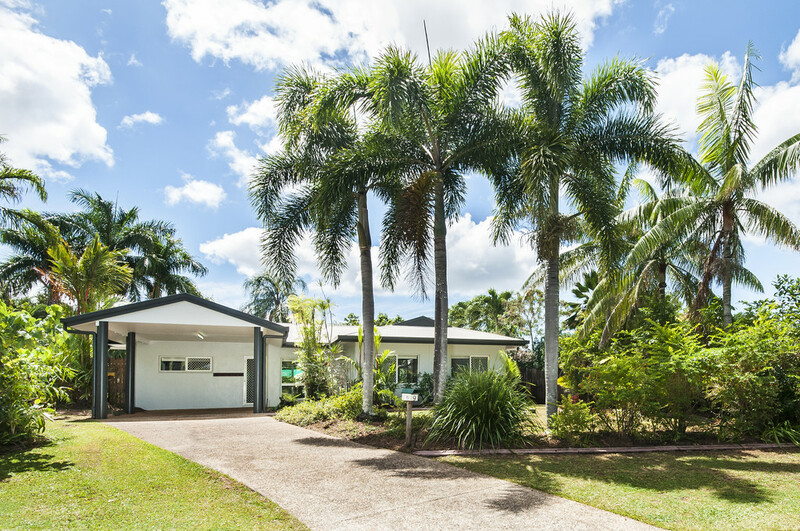 We would not hesitate recommending Redlynch Real Estate to anyone and would happily use their services again. Many thanks David. 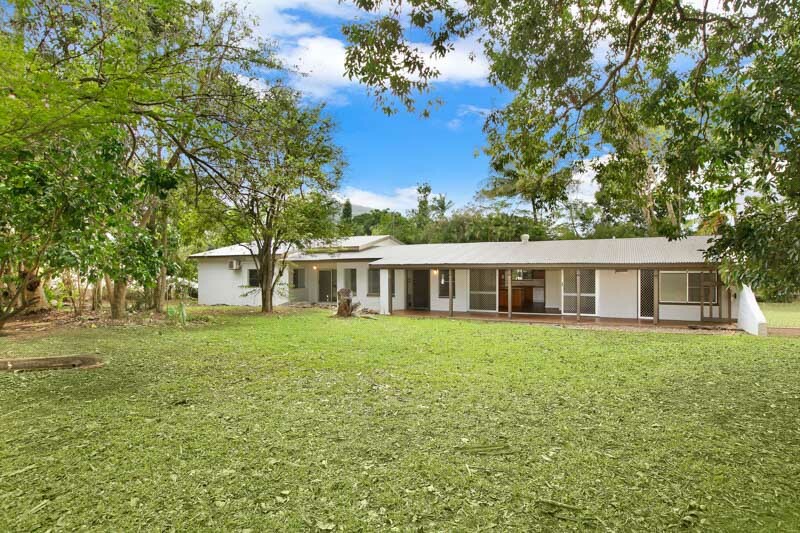 David and his team during the recent sale of our home acted in a professional and positive manner with clever marketing and inexpensive advertising thus achieving a great sale during poor economic times thanks. 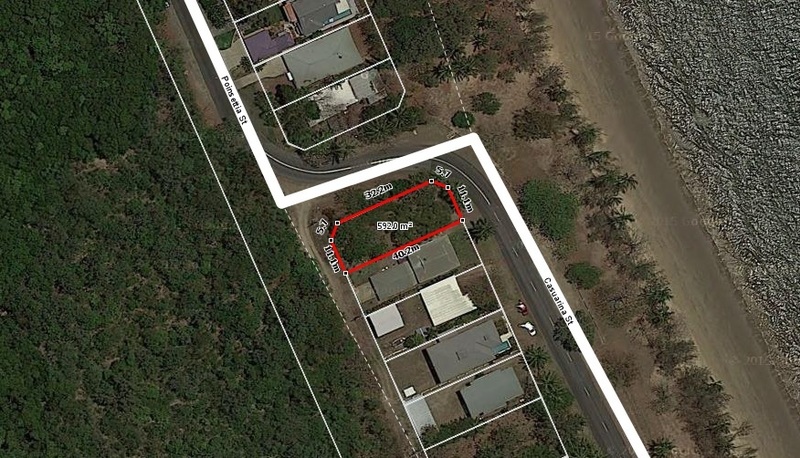 I recently sold my acreage property through David Jeffries and Redlynch Real Estate. For a number of reasons the sale was a difficult one however the property did sell. I cannot fault the service, we were kept informed at all times of interest in the property and offers as they were made. Whenever a query was made, if the staff weren't immediately available calls were returned promptly. 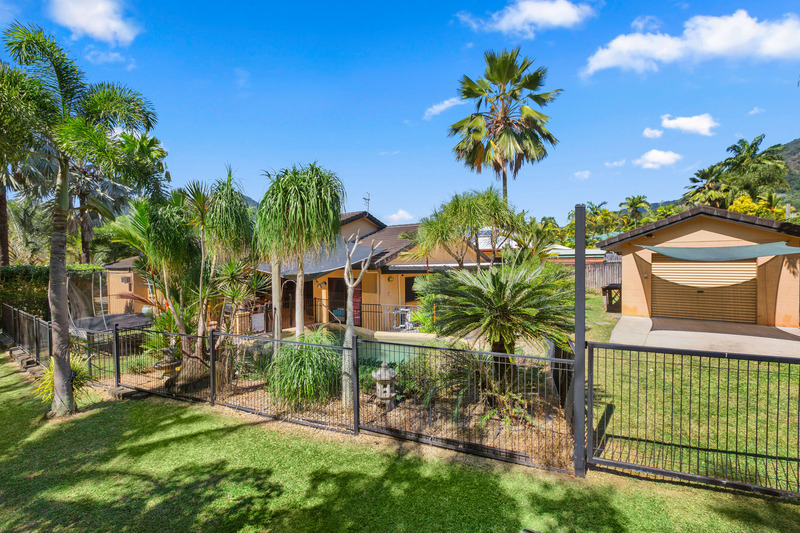 Even after the contract was signed Redlynch Real Estate monitored the process right through to settlement to ensure that the process went smoothly. 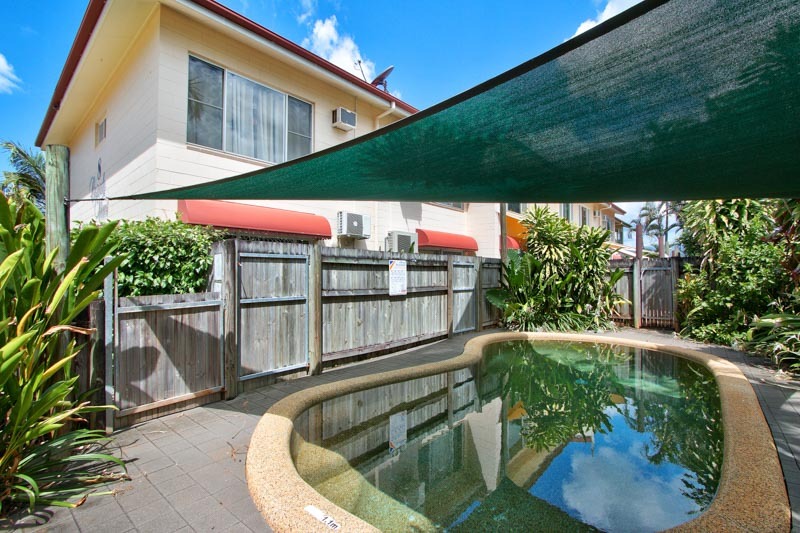 I have sold a number of properties, and the norm seems to be to forget the vendor once a contract goes unconditional, this was certainly not the case here. I have no hesitation in recommending David or his staff to act as your agent. 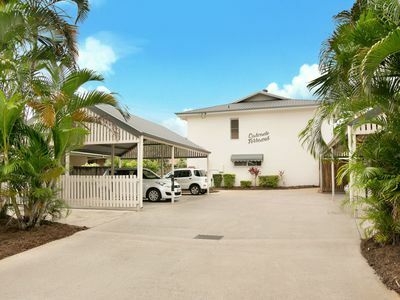 Dear David, Thank you very much for the quick and smooth sale of my Redlynch Townhouse, and at the asking price as well. I was especially please that sale and settlement of the property went through without a hitch. Thank you again for the painless process. 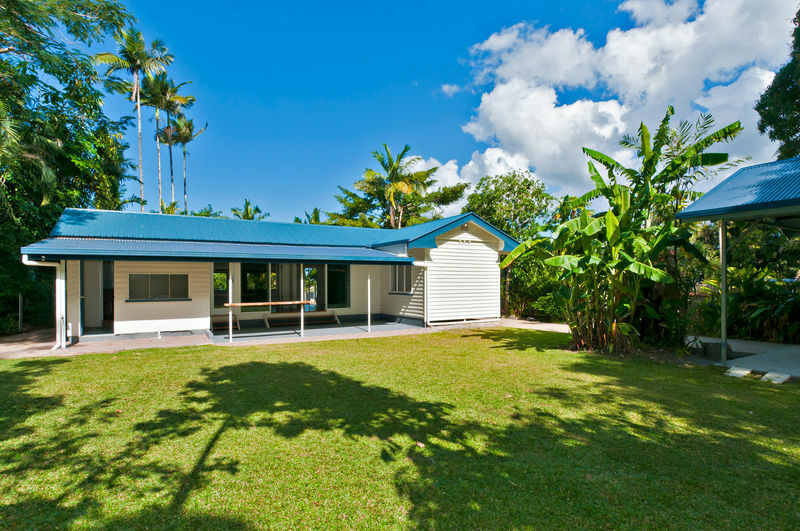 We would like to thank David Jefferies and his team at Redlynch Real Estate for their assistance in selling our house. 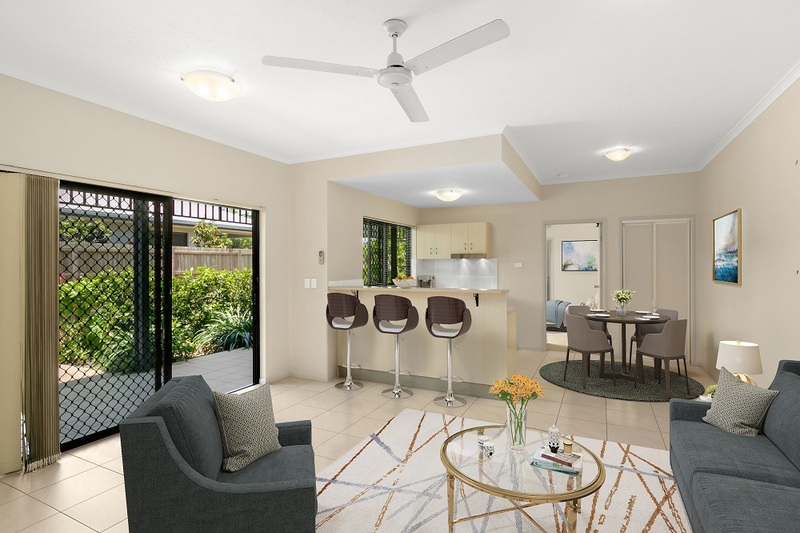 This was the second attempt at selling our home, the first was with a different real estate agent adopting a full advertising package which produced no result. David’s internet marketing techniques teamed with his professional and honest approach are what I believe, helped us to achieve a good result in an extremely difficult market. By following David’s advice and using his marketing techniques we also managed to save ourselves greatly in advertising expenses. David and his team also kept us well informed during the course of the sale and provided us with prompt relevant feedback each week. Their follow up service was also very efficient as well, helping to keep us organised! I would have no hesitations is recommending David and his team to anyone. Further, if I am to sell again myself, I would also have no hesitation in signing on with David again either. Thank you for all your effort!! 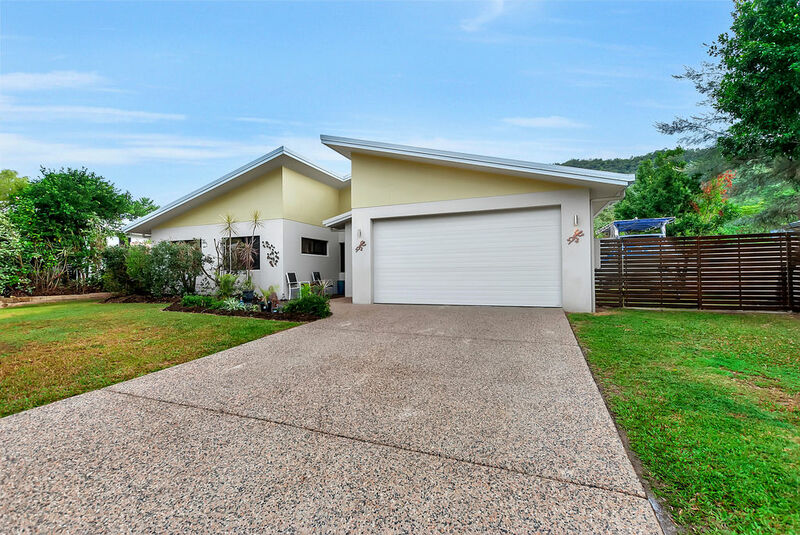 I would like to take this opportunity to thank David Jeffries and his team at Redlynch Real Estate. 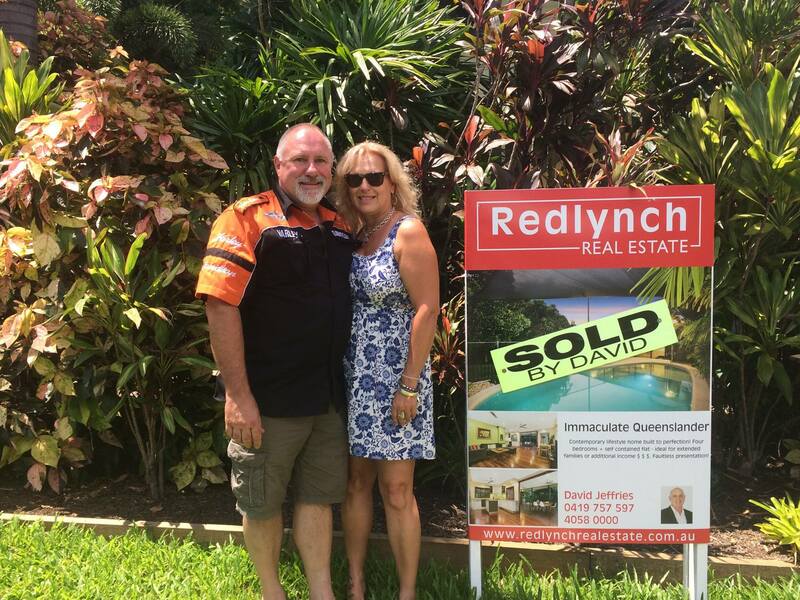 A few years ago we purchased our home at Redlynch from David and found the process easy and were in the house within 5 weeks of purchase. Due to a change in employment we had to move out of the area and enlisted David’s help in selling our property. David inspected our house and advised us on how best to present the house and what he thought a fair market price would be. After following David’s advice we put our house on the market and after an open home the following week the house was sold and the contact was signed within 14 days of being on the market. We achieved a fair price and were very happy with the result. 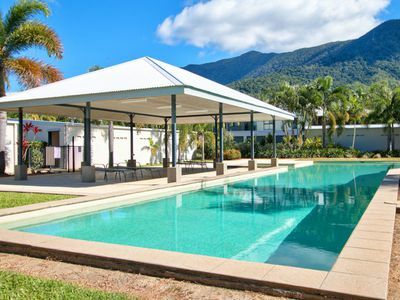 The girls at Redlynch Real Estate were in constant contact with us to keep us informed of the progress of the sale and everything went smoothly to settlement. 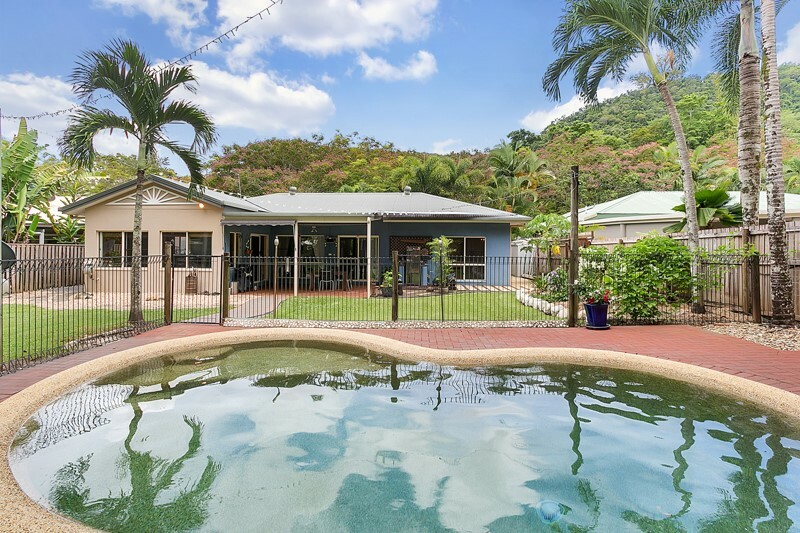 I would recommend David and the team at Redlynch Real Estate to anyone who is buying or selling a property in the Redlynch area.